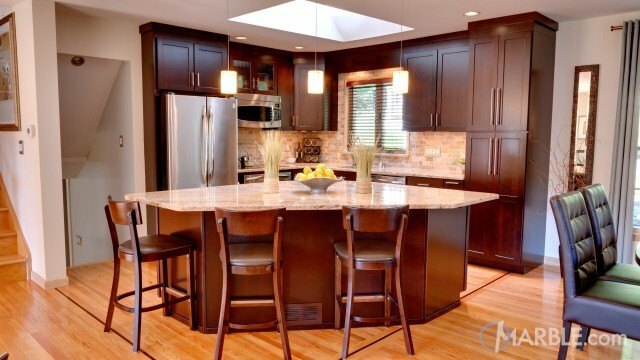 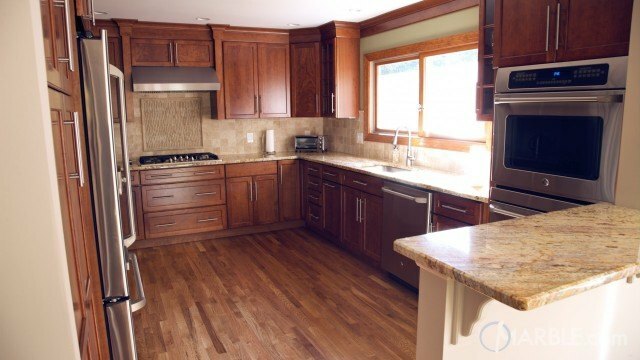 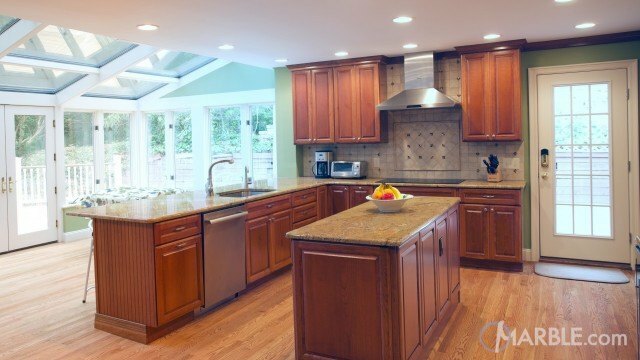 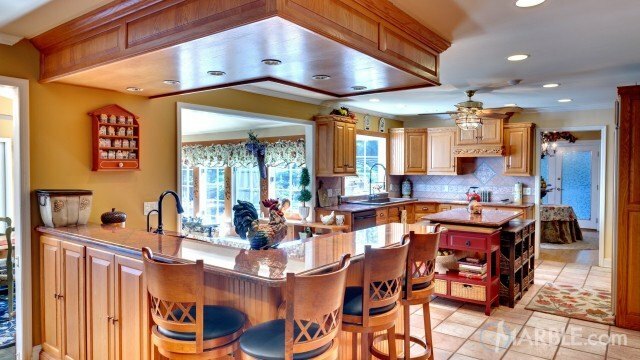 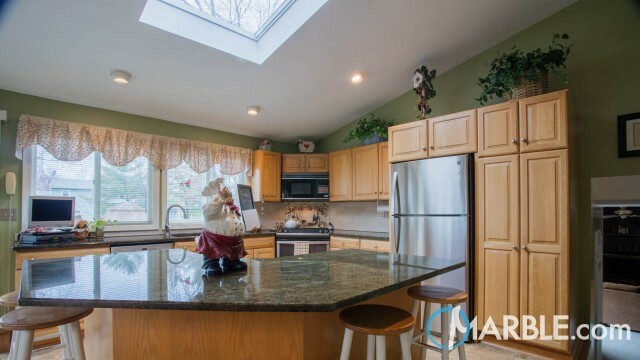 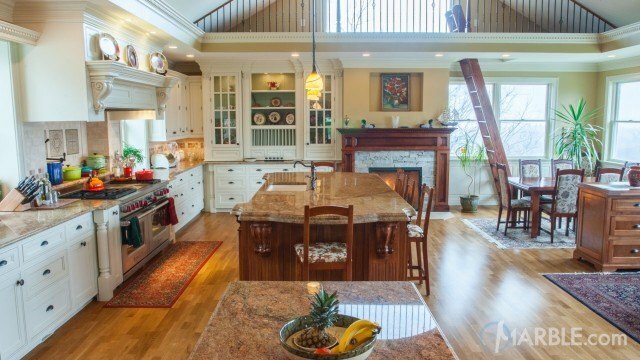 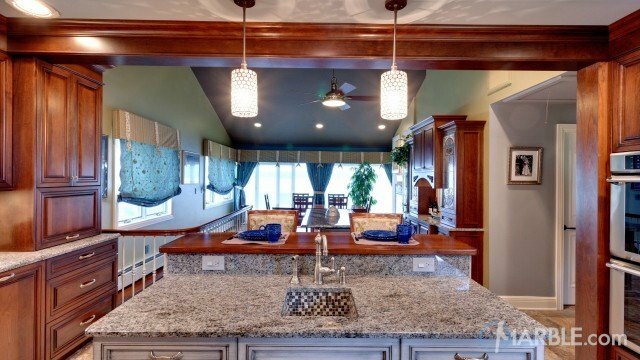 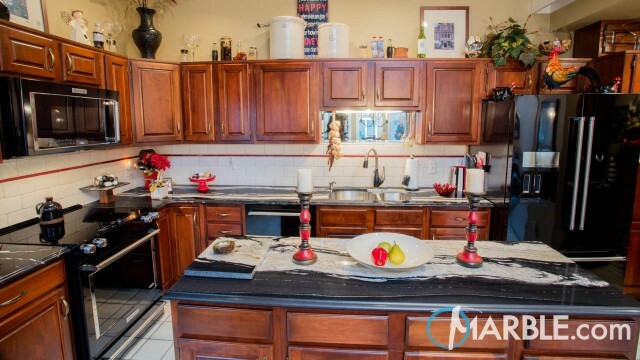 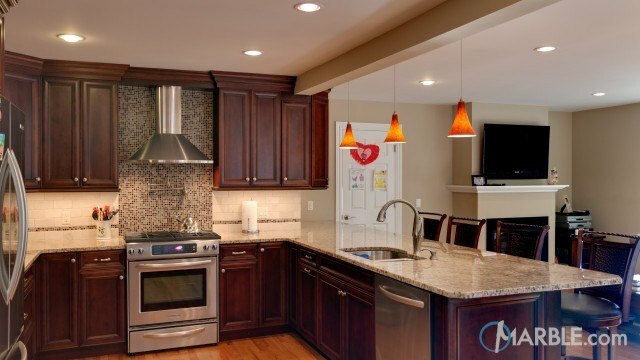 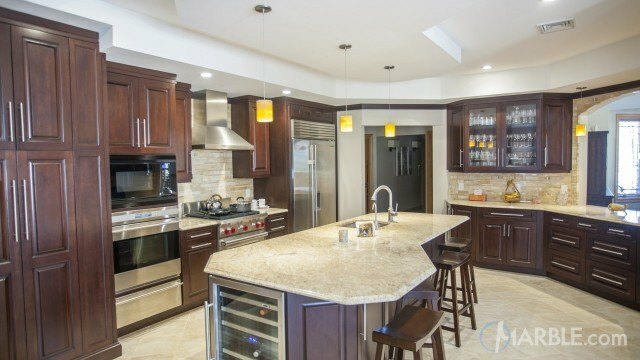 The gourmet kitchen is set off by a textured ceiling done in reddish tones. 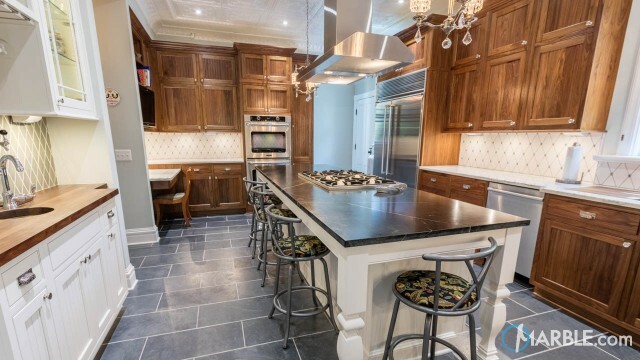 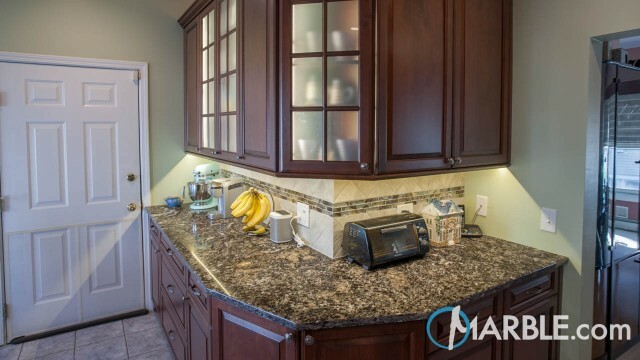 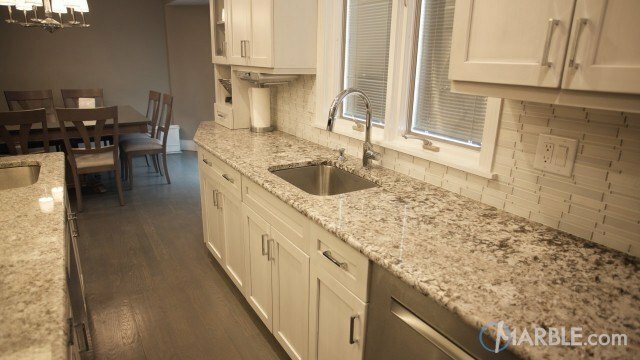 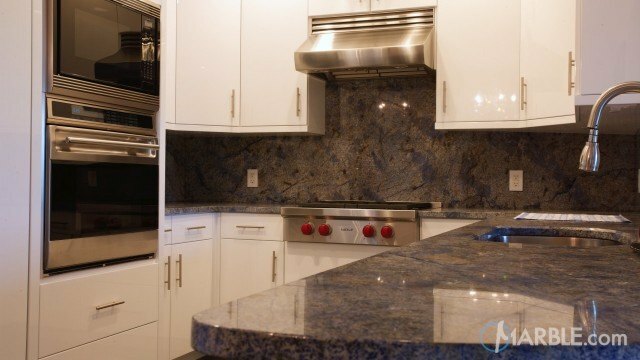 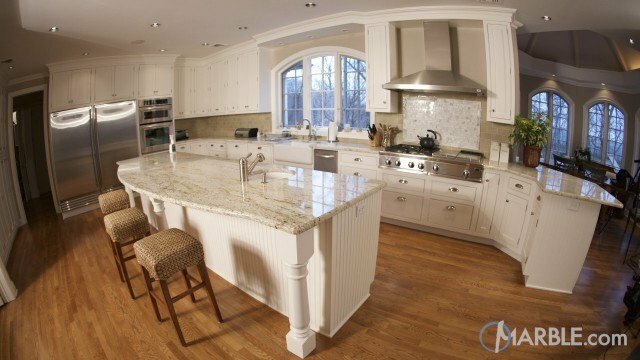 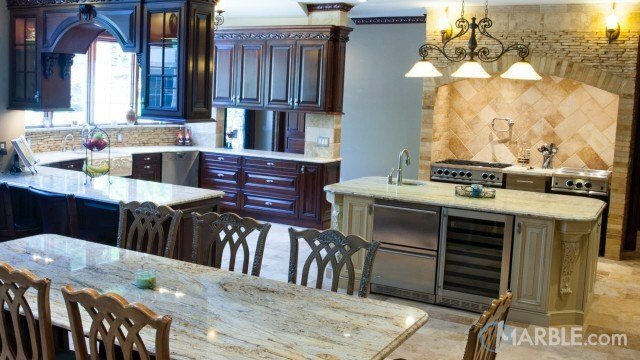 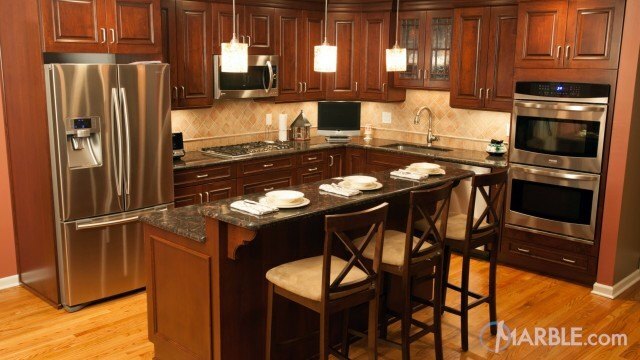 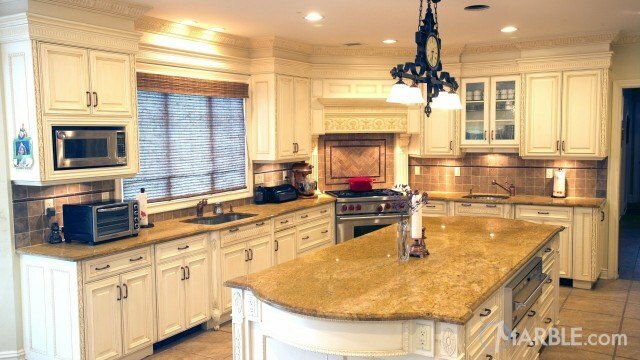 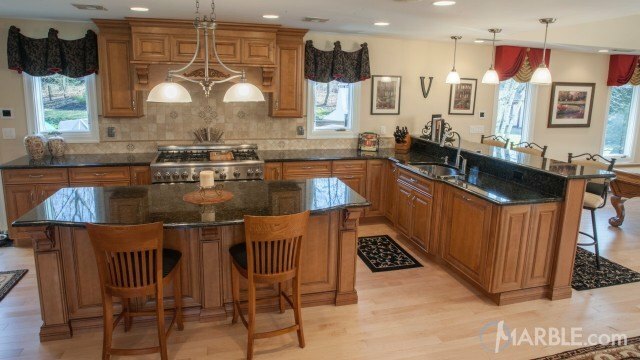 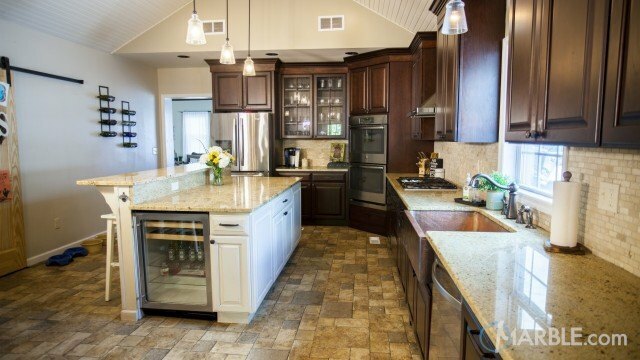 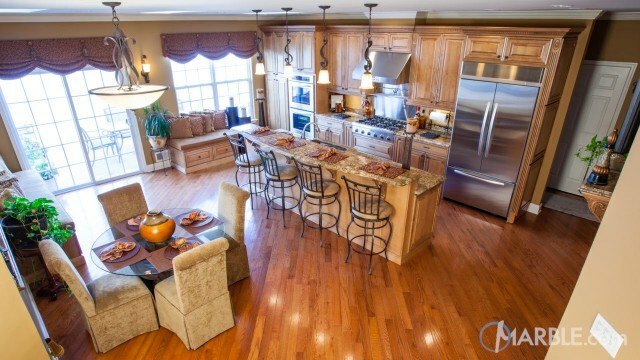 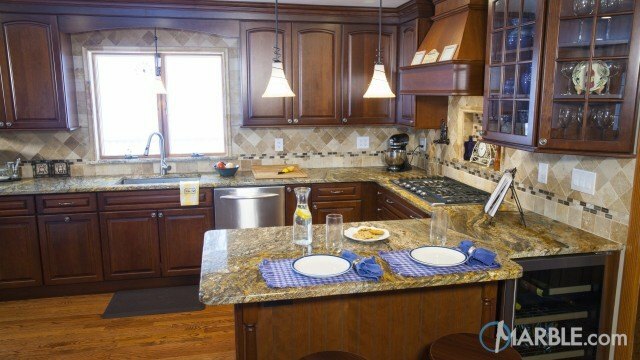 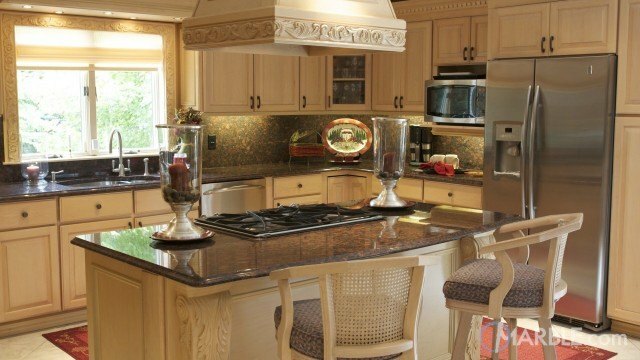 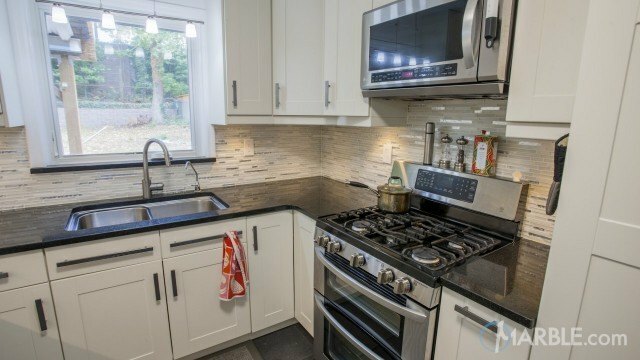 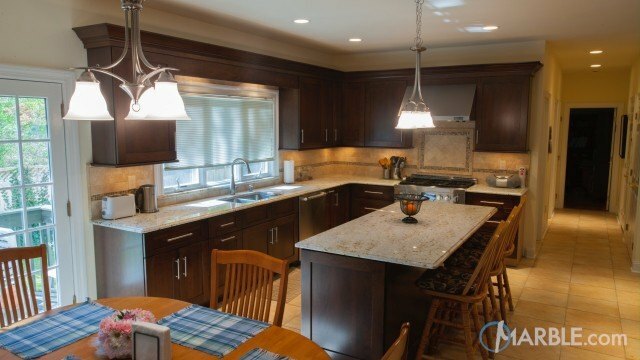 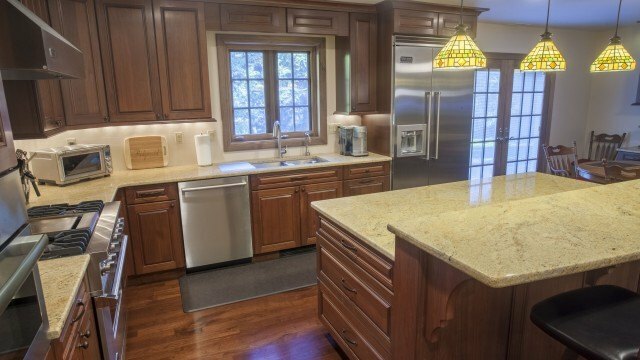 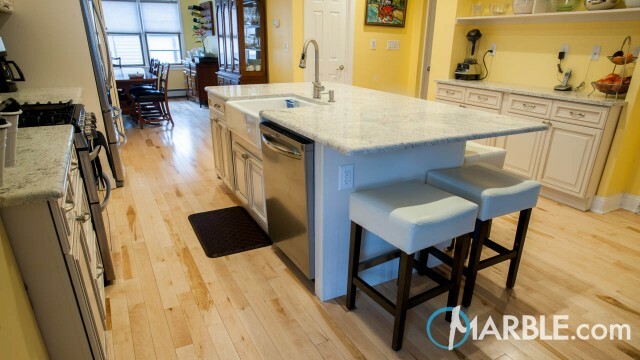 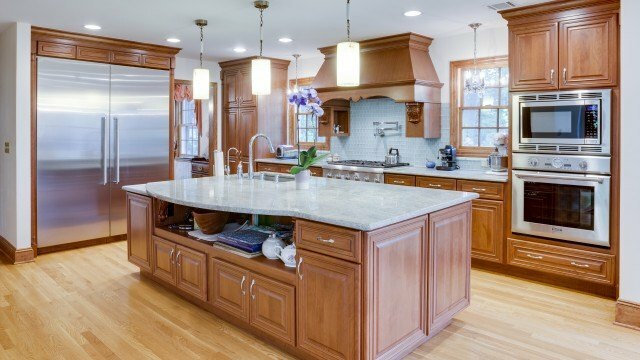 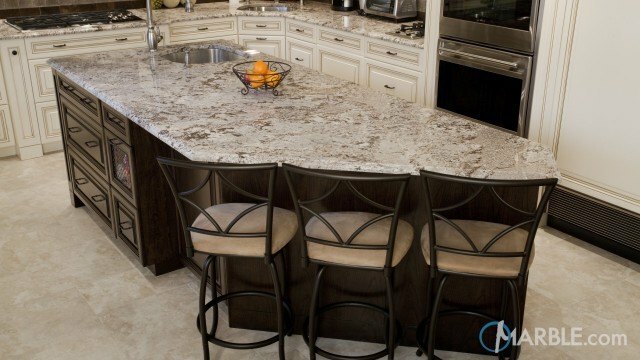 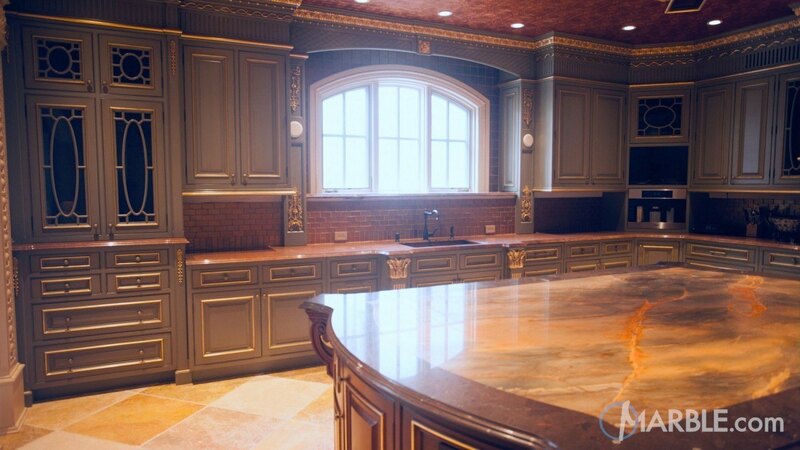 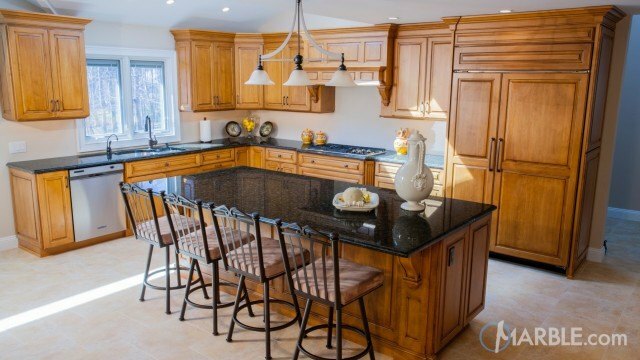 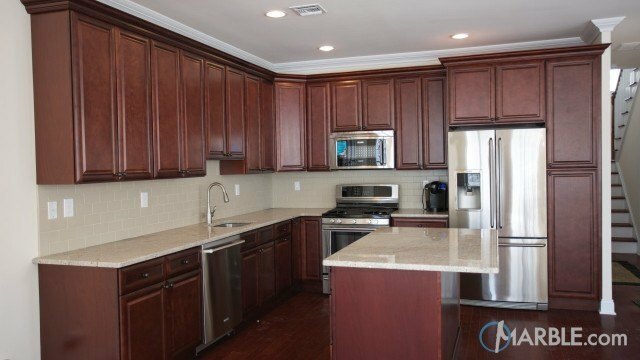 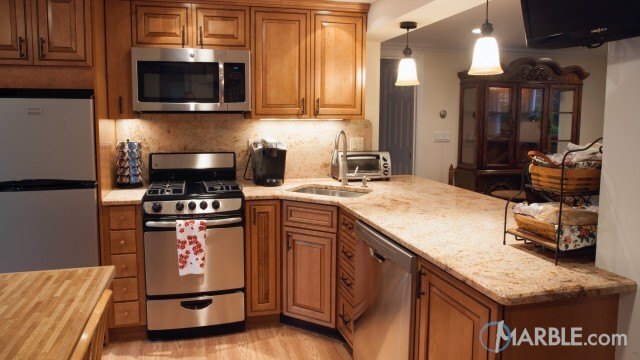 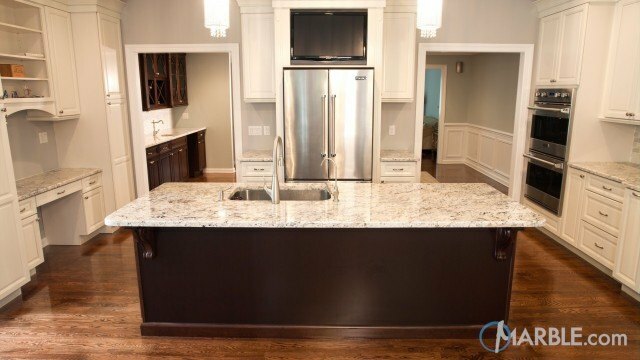 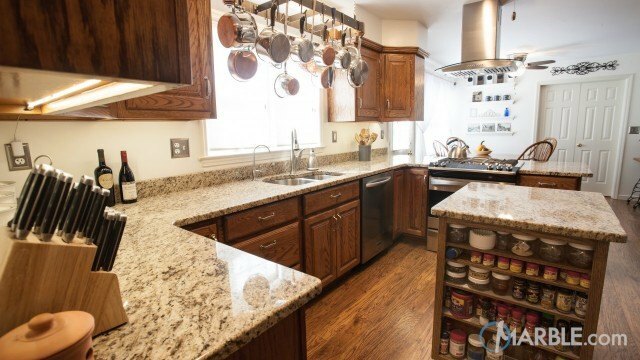 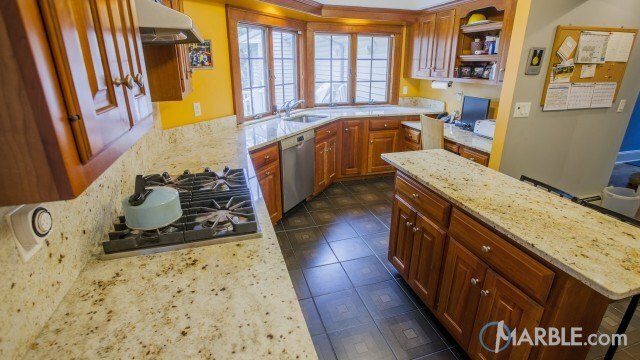 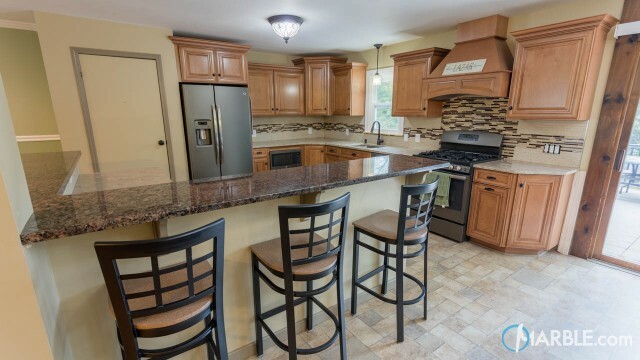 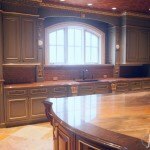 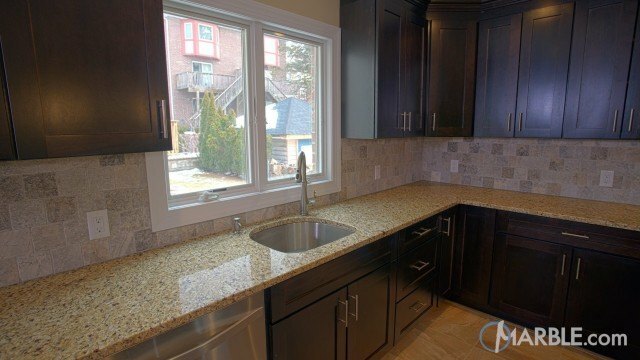 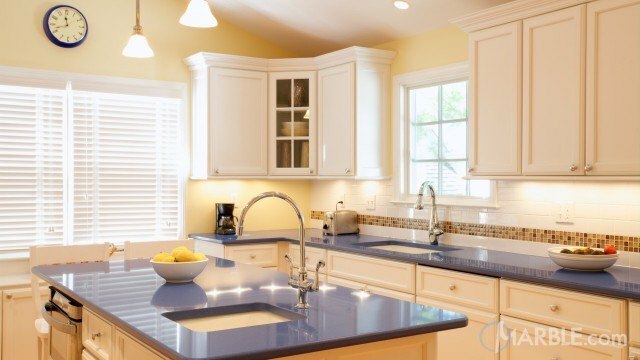 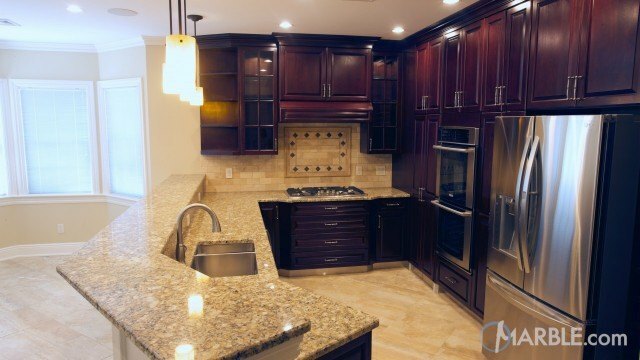 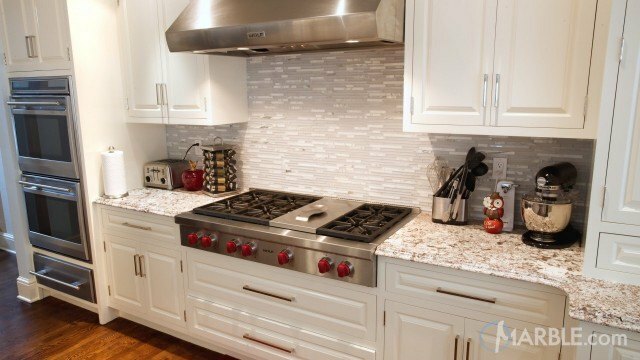 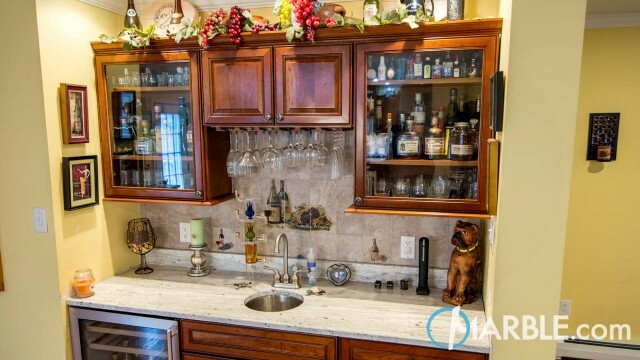 The cabinetry is edged in gold with a built-in breakfront with glass doors. 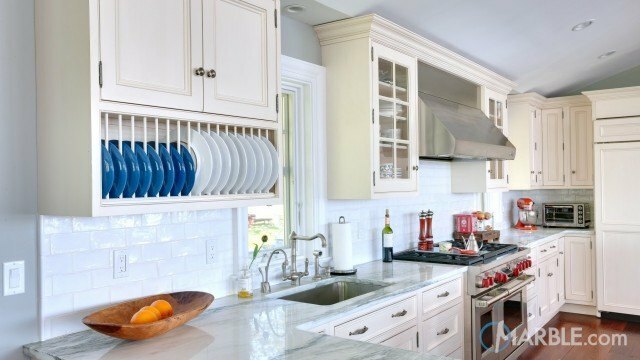 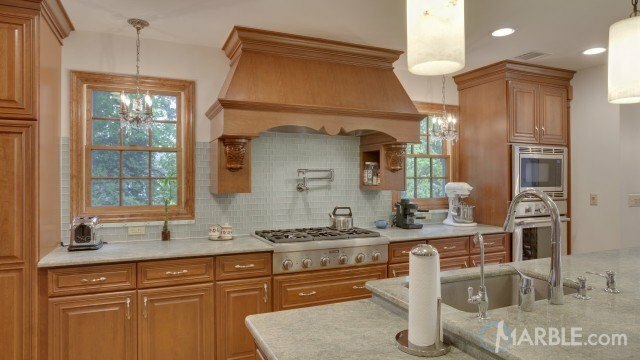 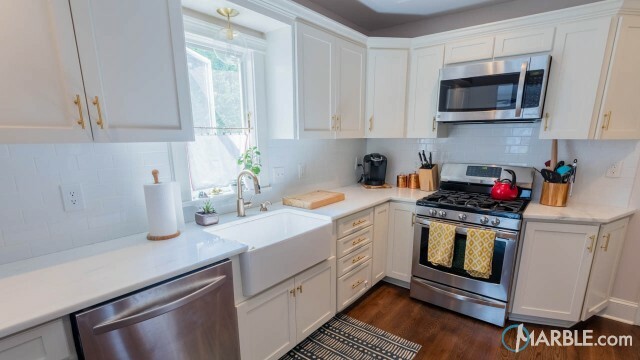 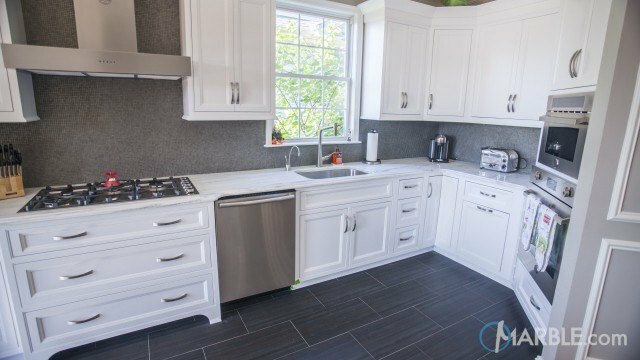 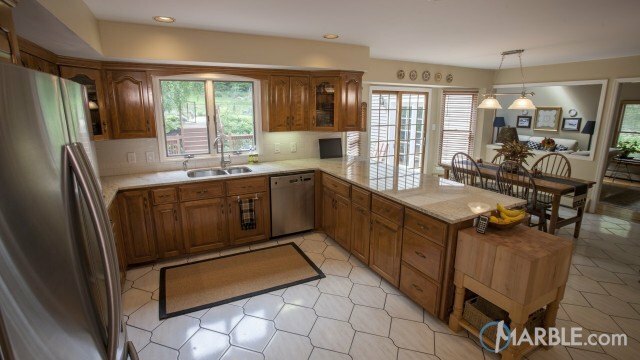 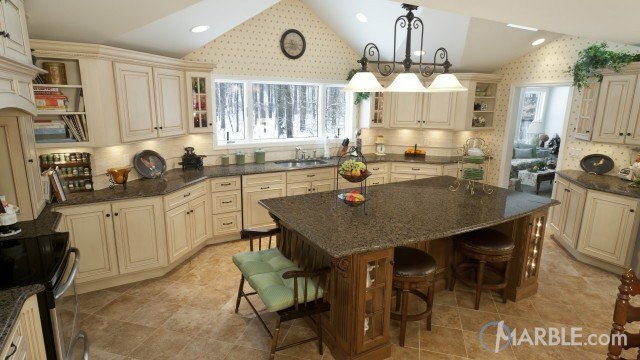 The arched window above the sink gives a feeling of old world charm. 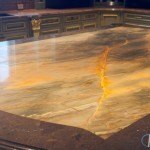 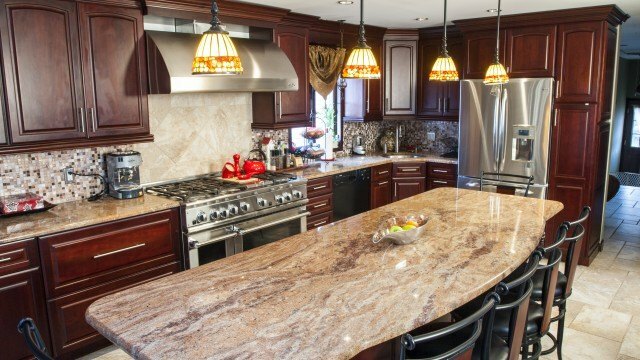 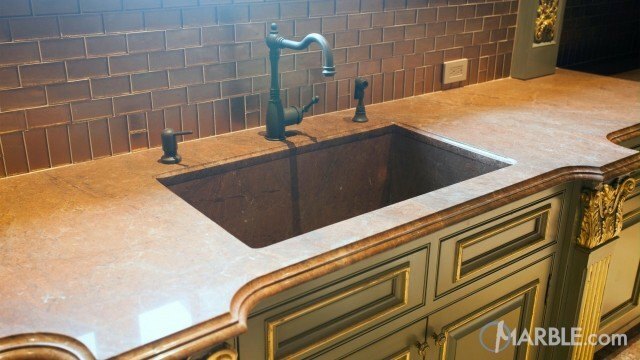 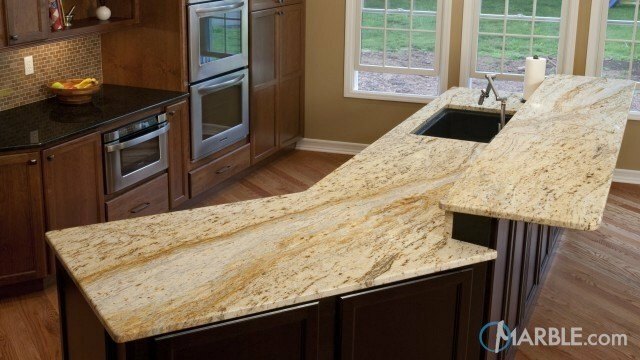 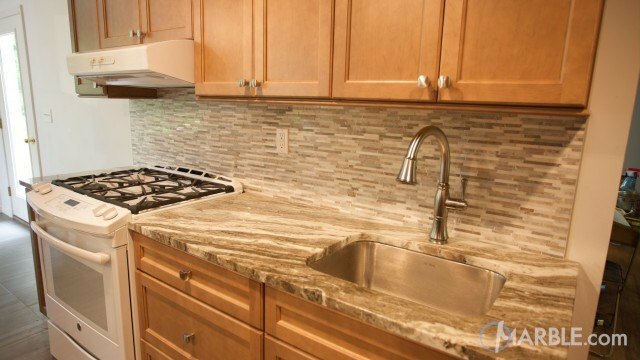 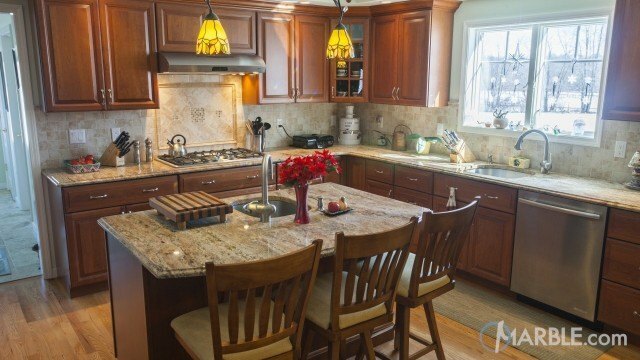 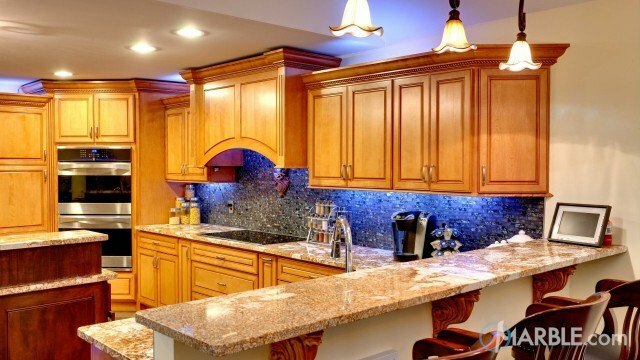 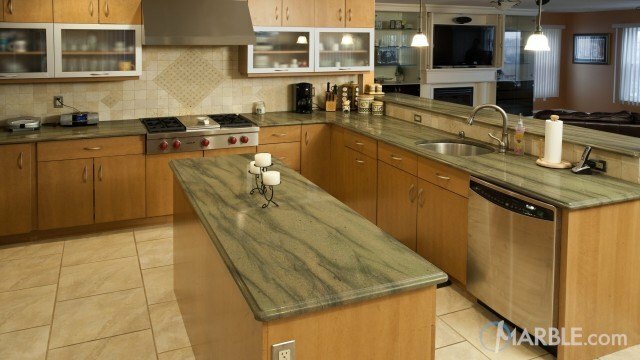 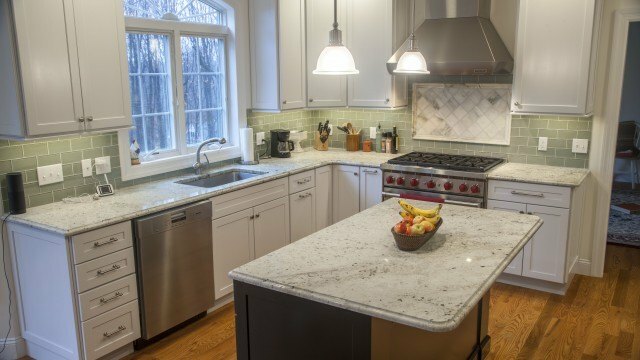 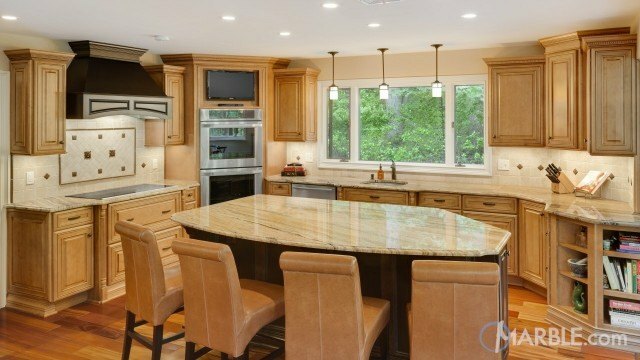 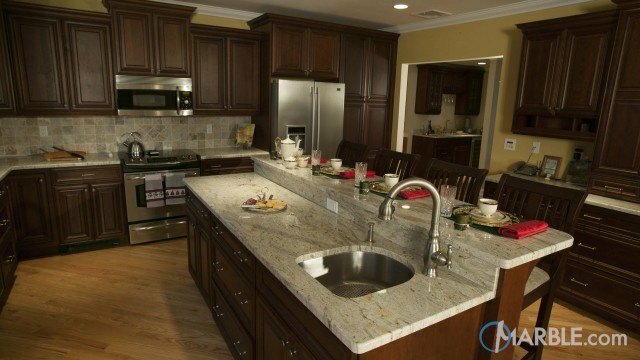 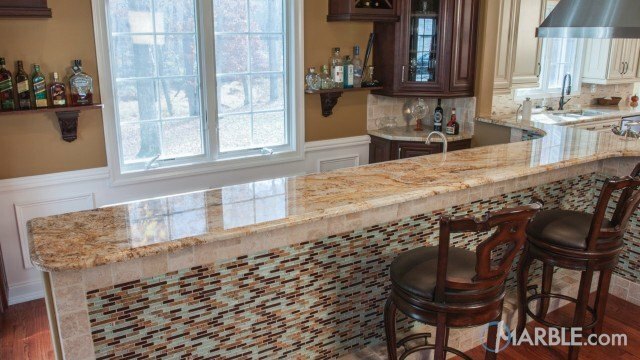 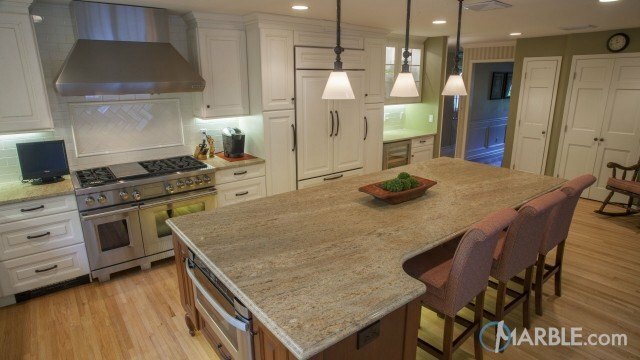 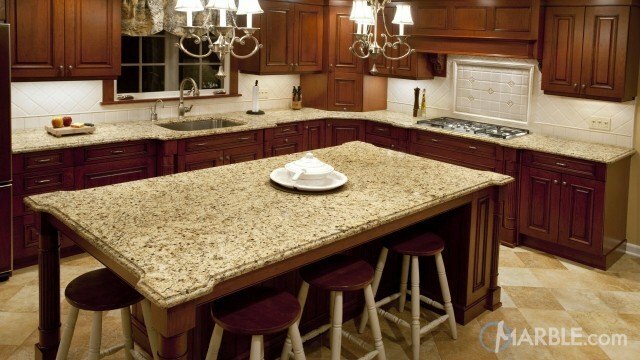 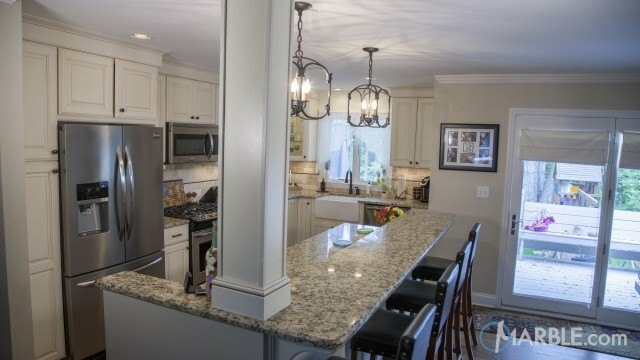 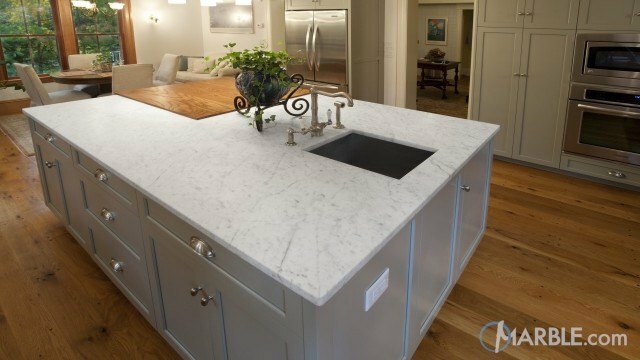 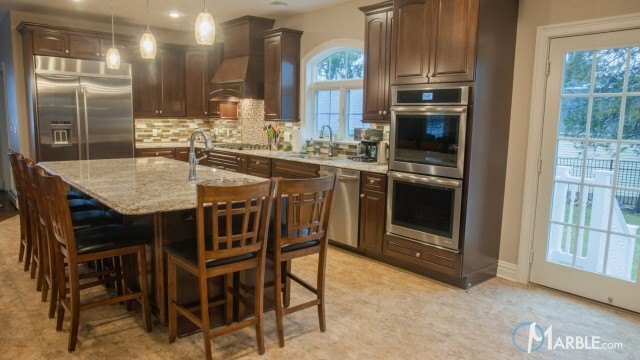 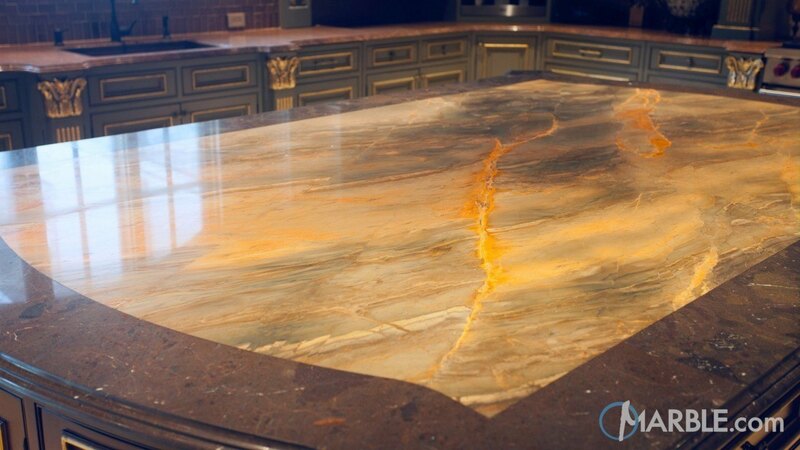 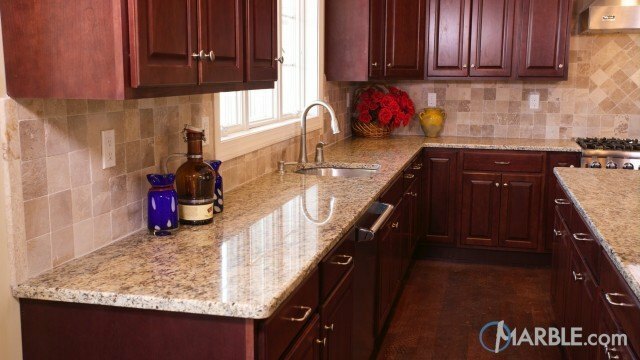 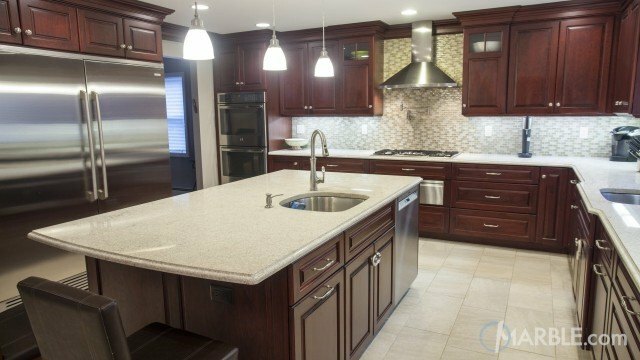 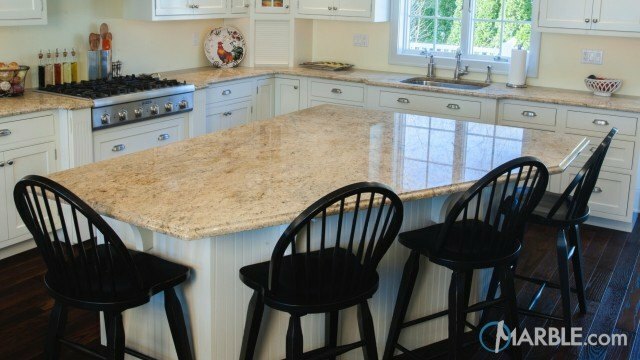 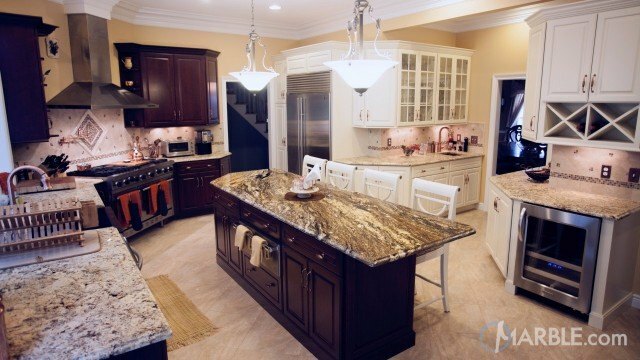 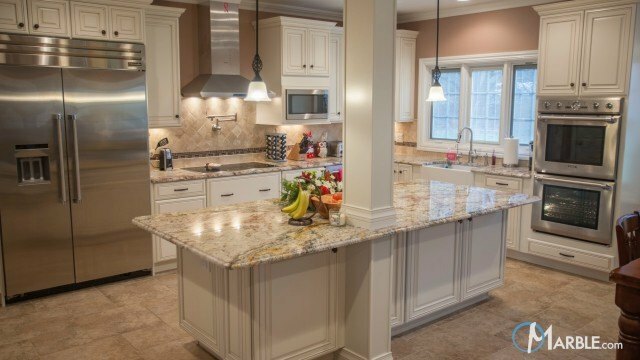 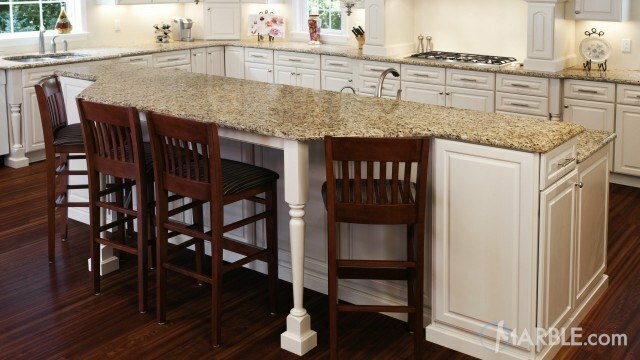 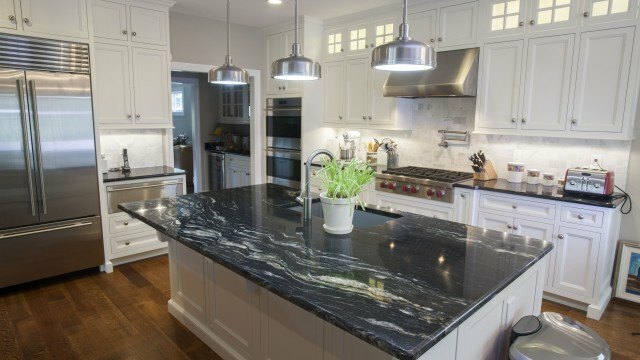 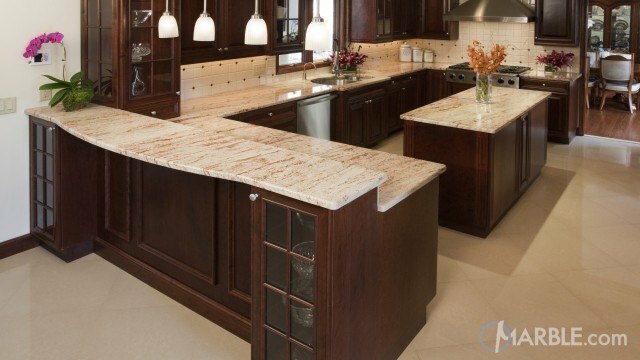 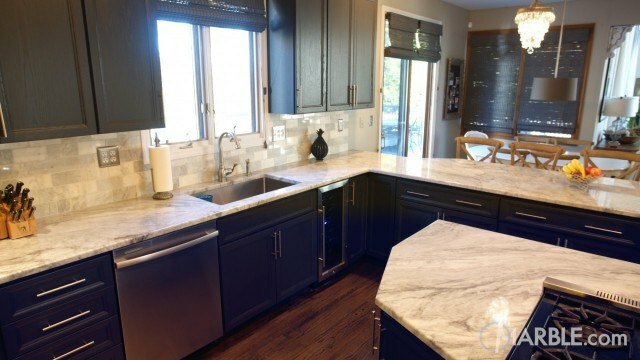 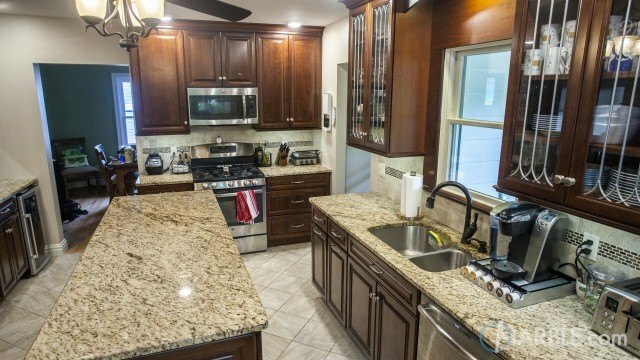 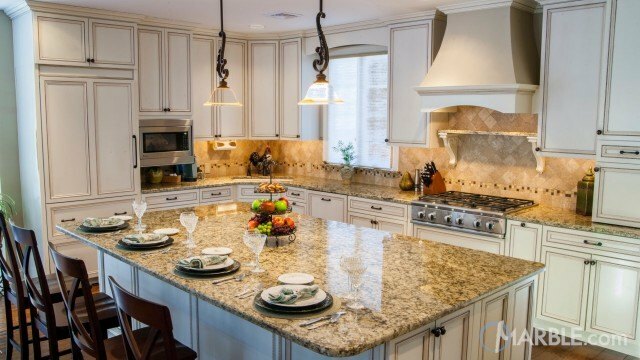 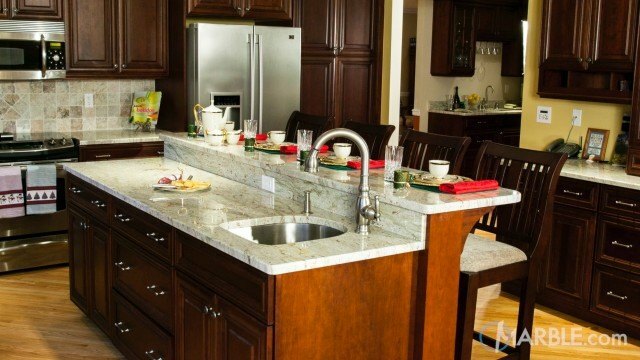 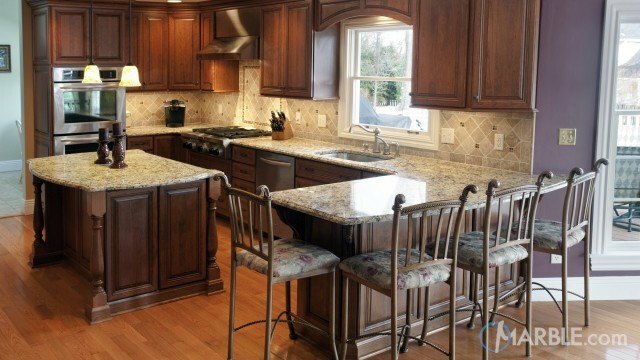 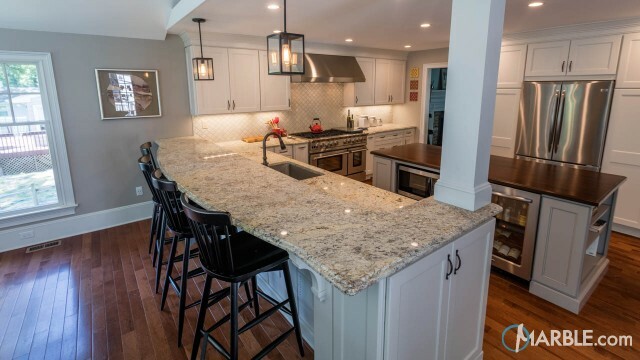 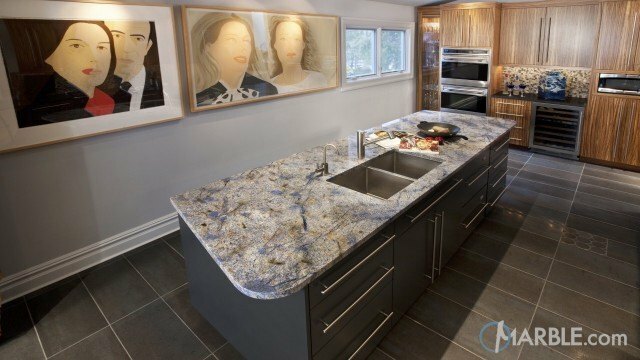 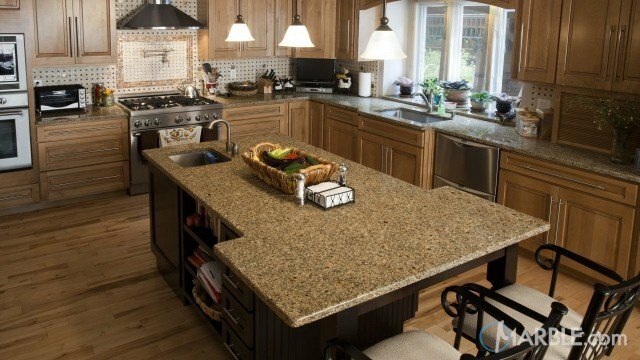 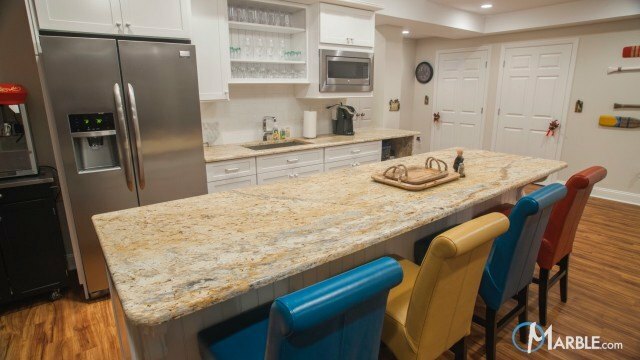 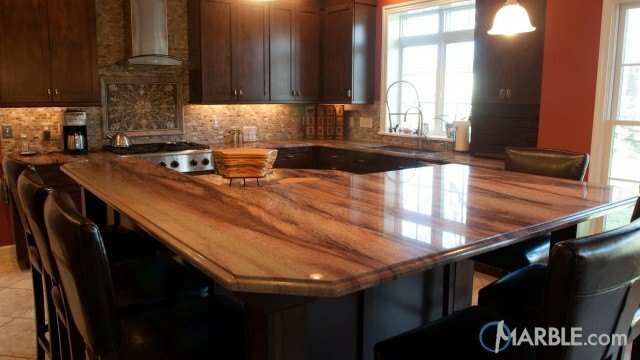 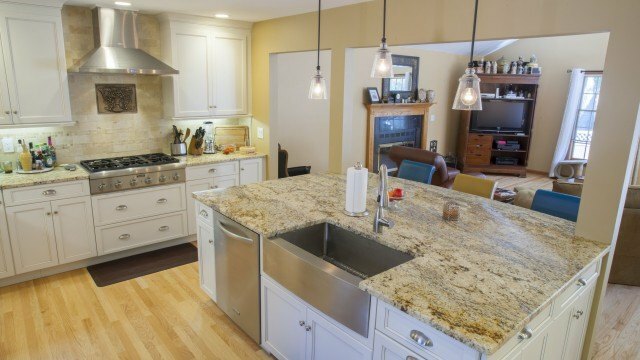 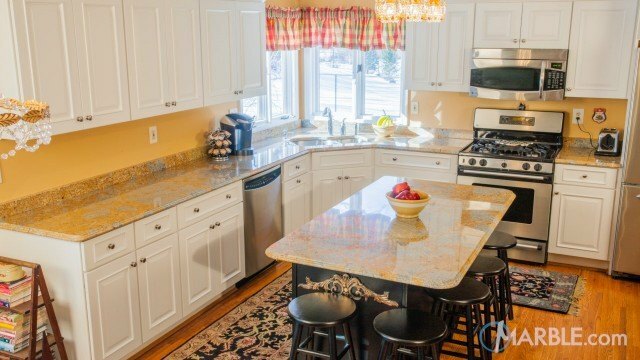 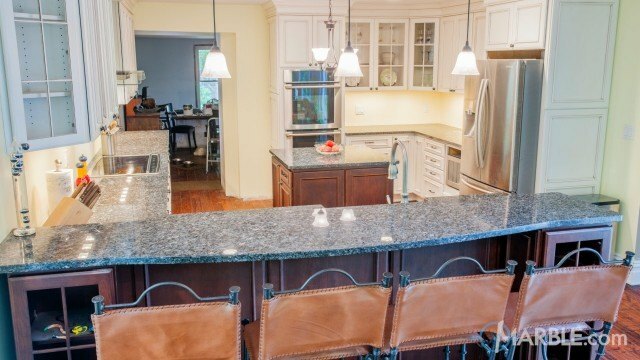 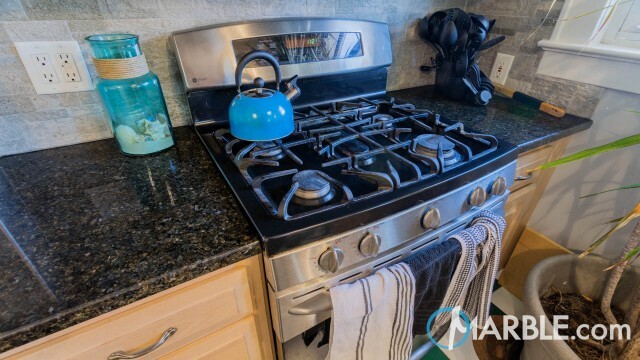 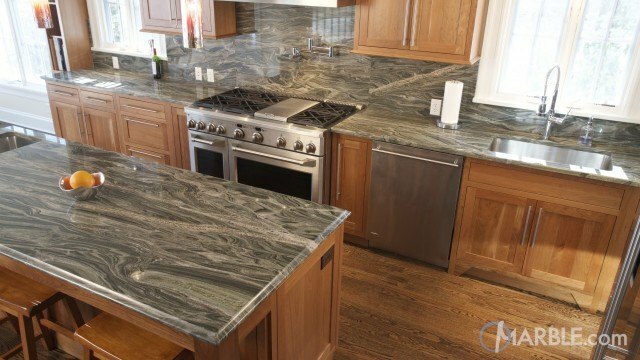 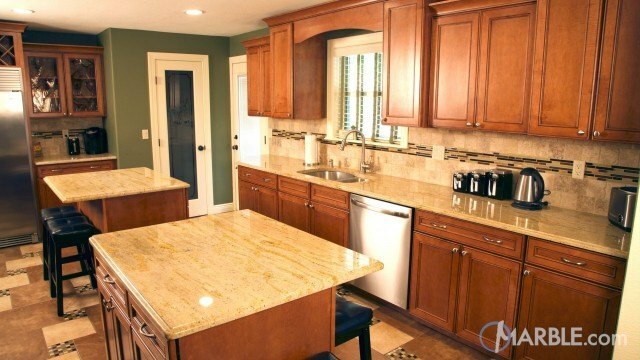 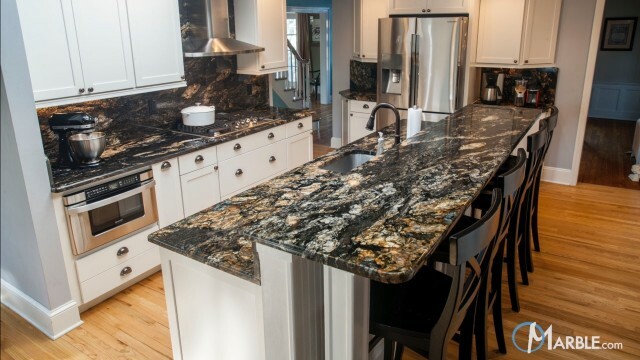 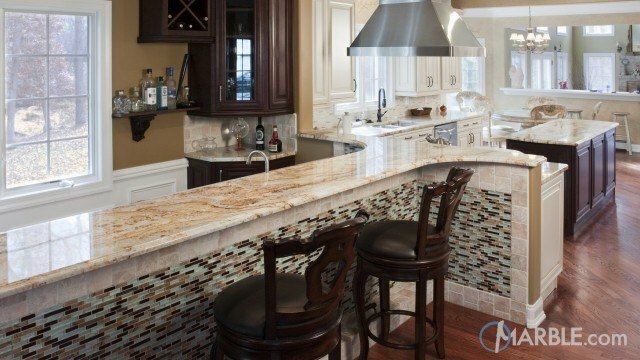 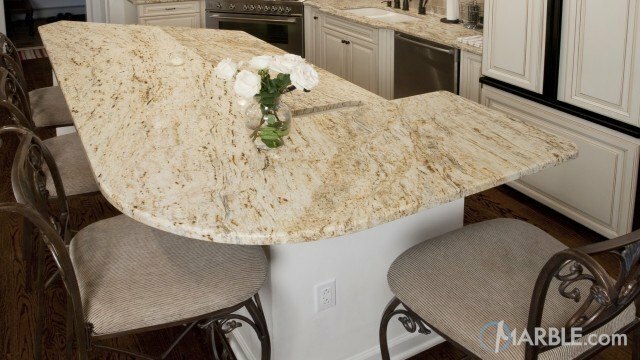 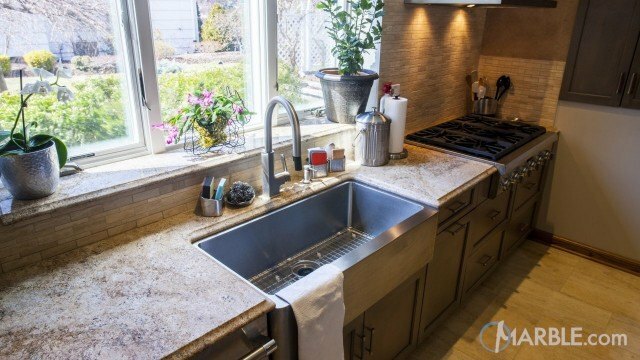 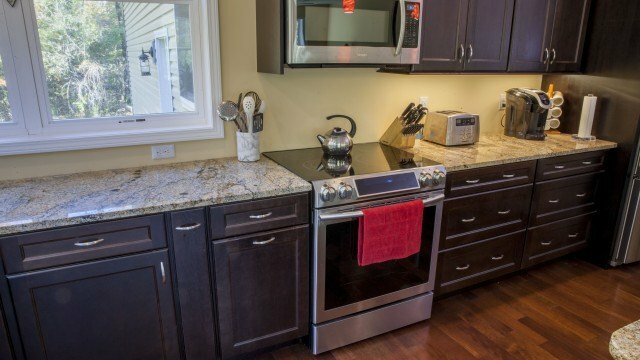 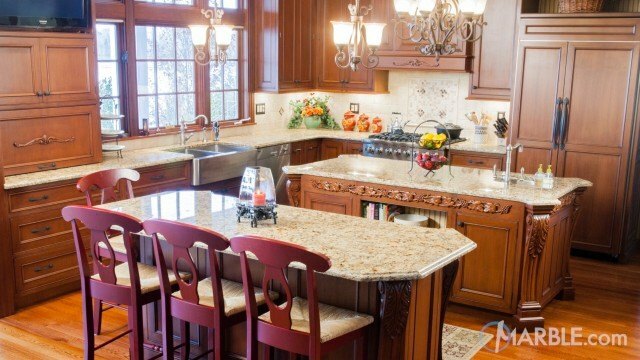 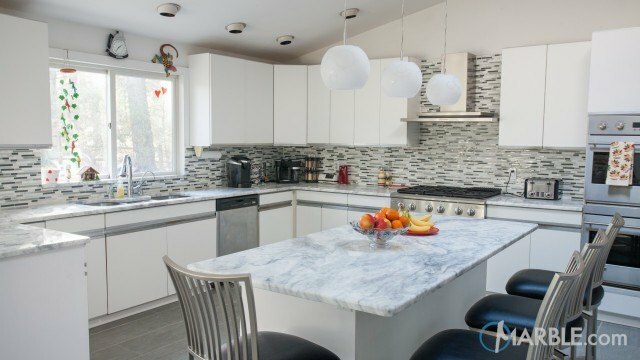 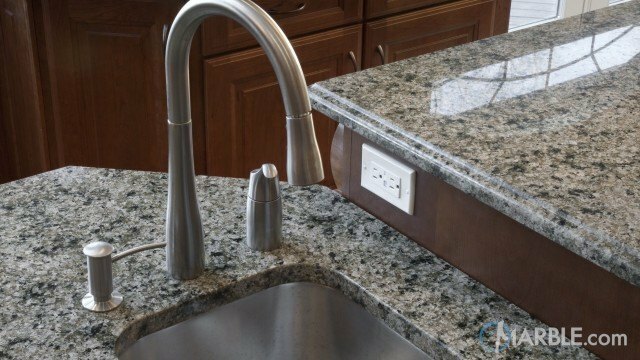 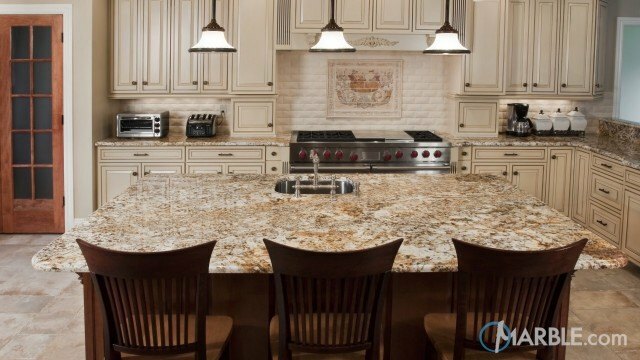 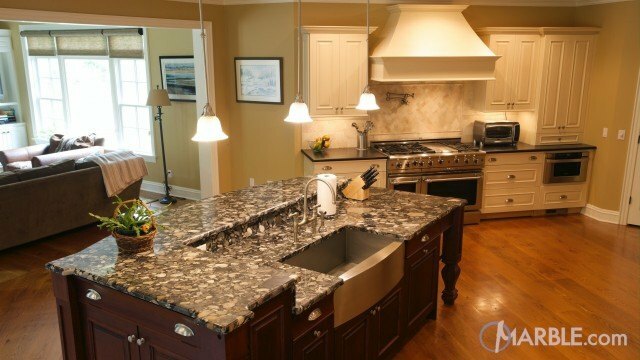 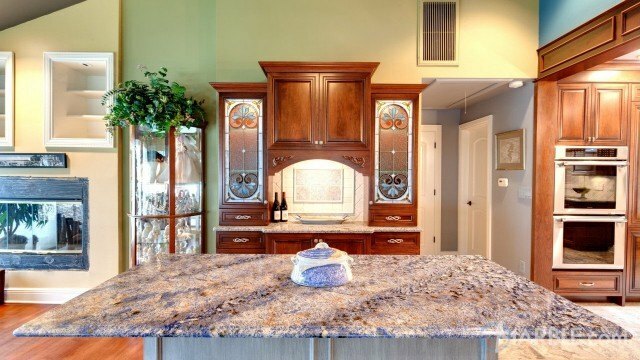 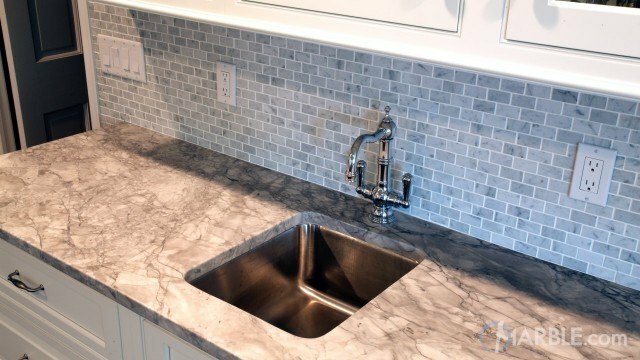 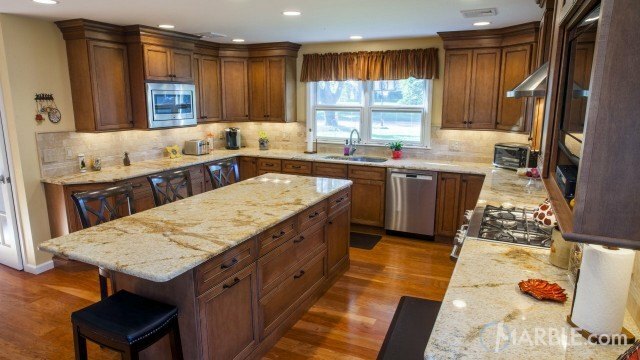 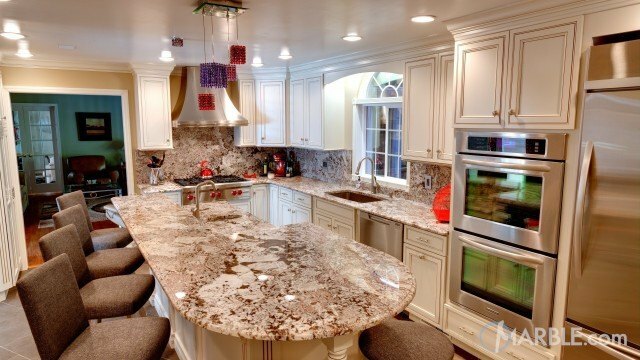 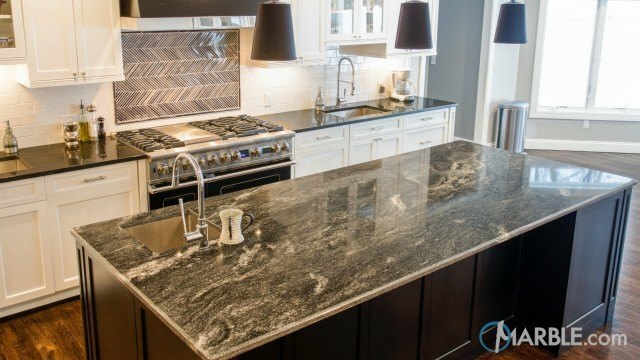 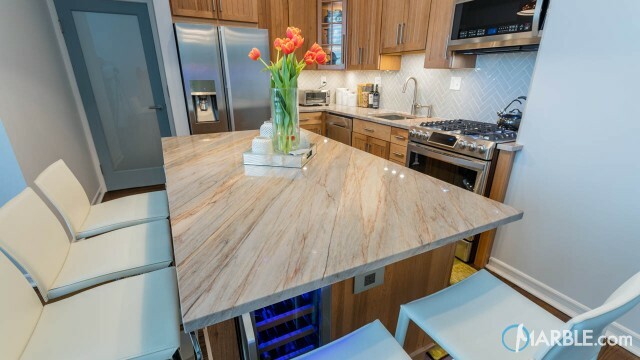 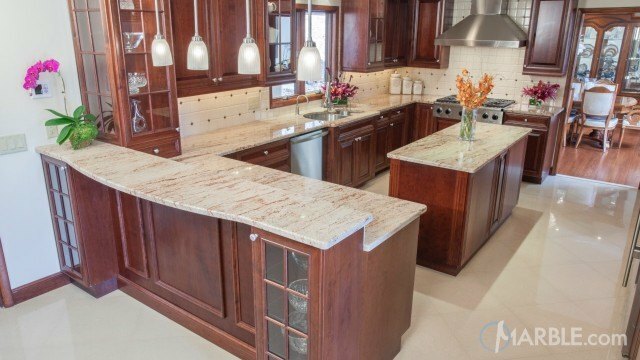 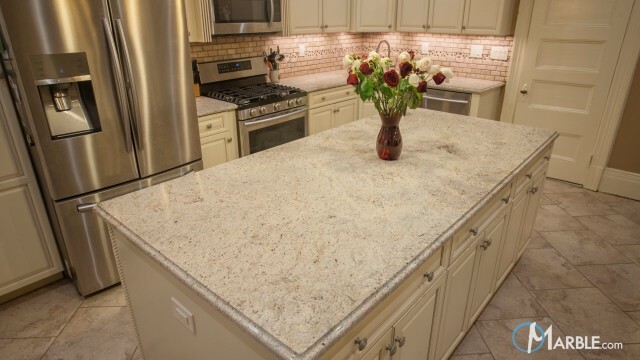 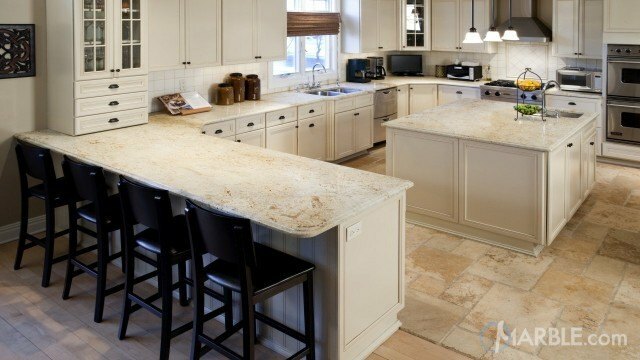 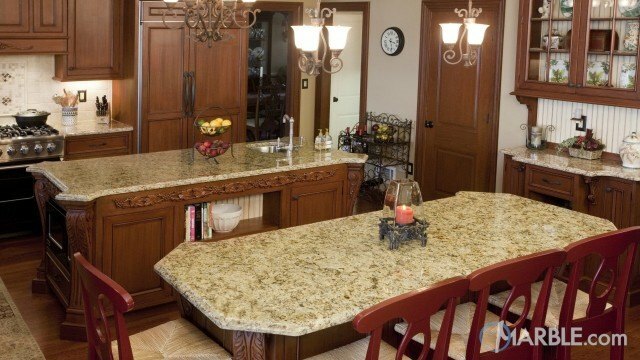 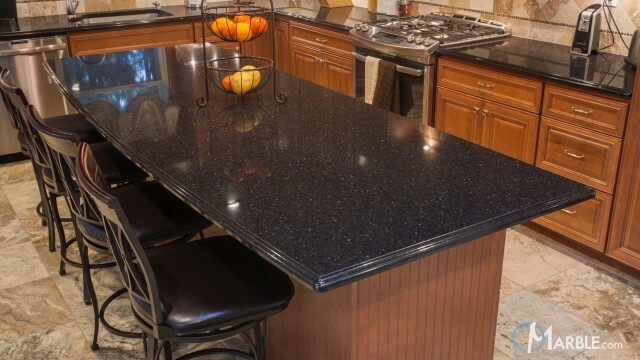 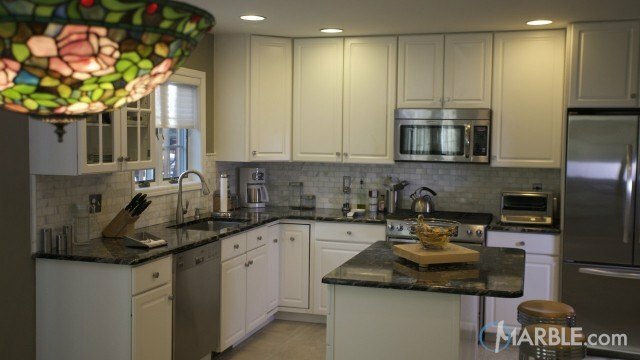 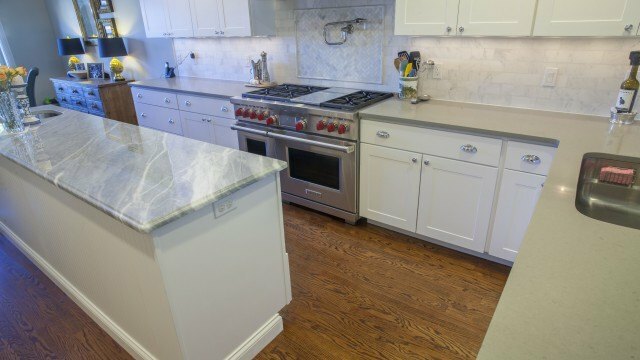 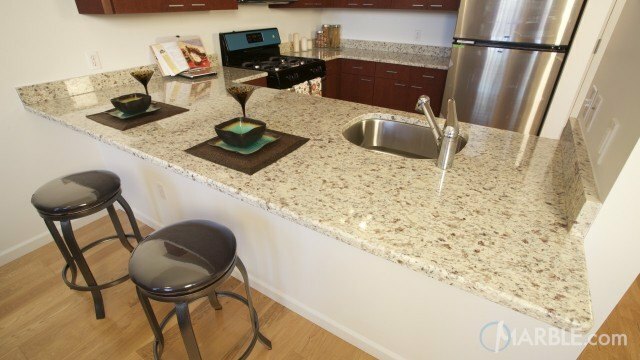 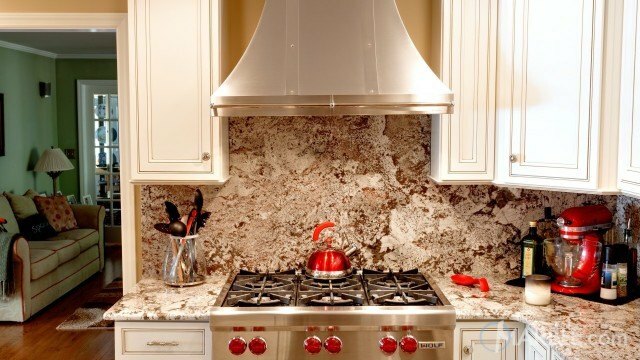 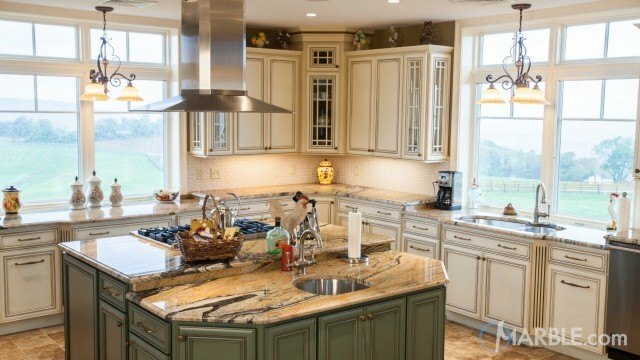 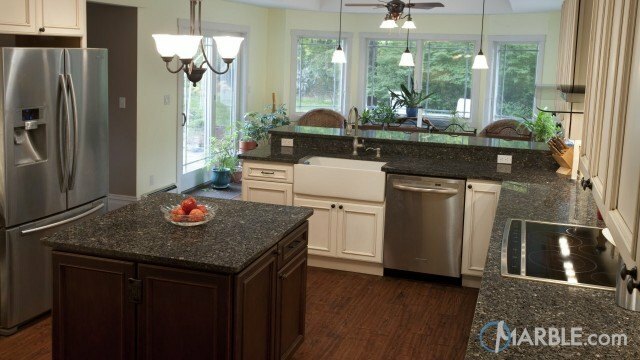 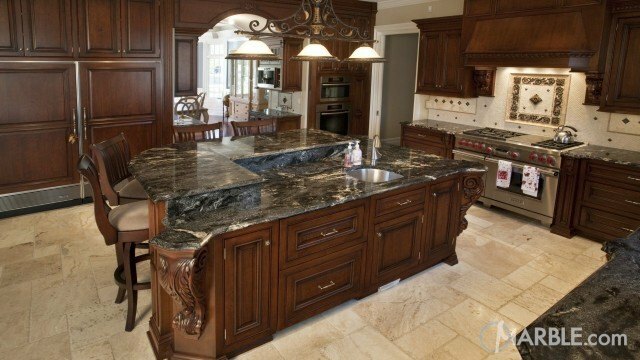 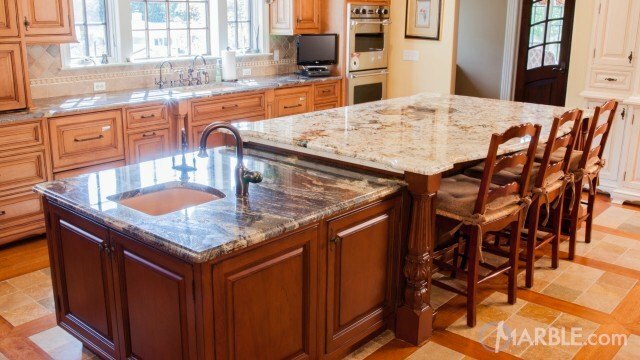 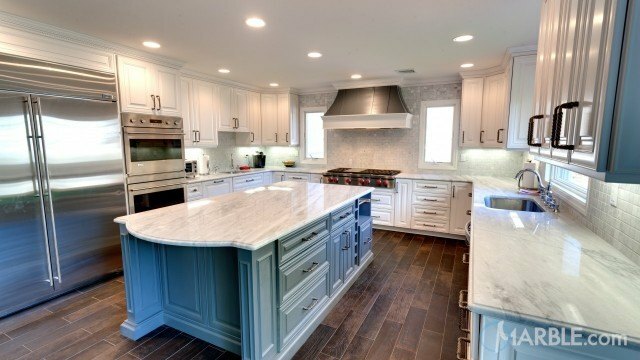 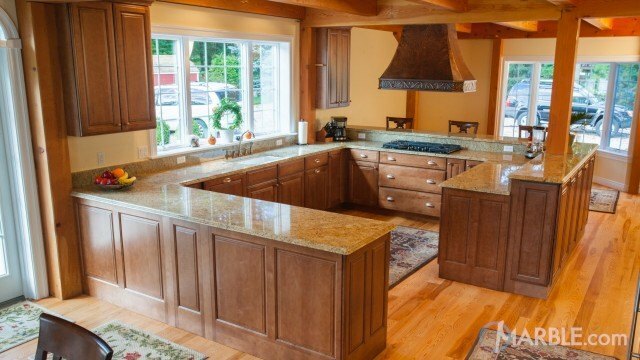 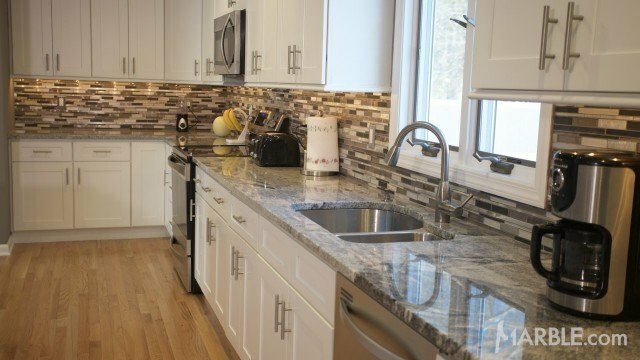 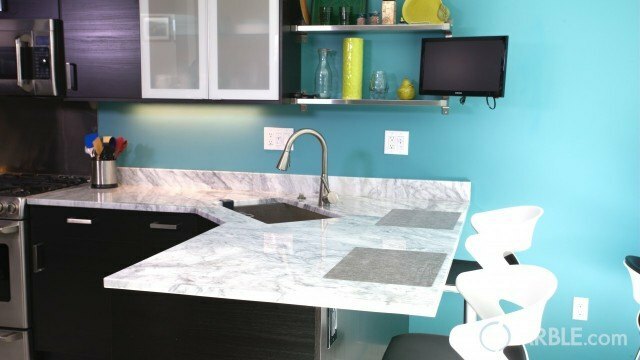 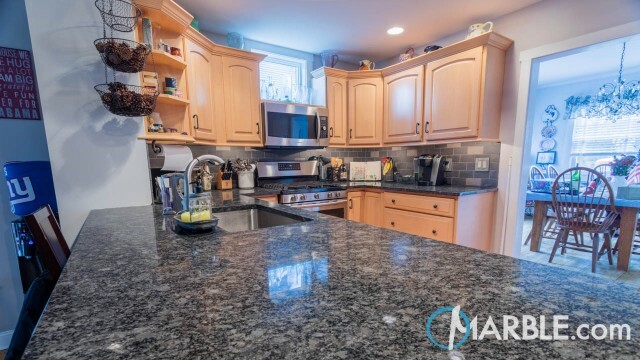 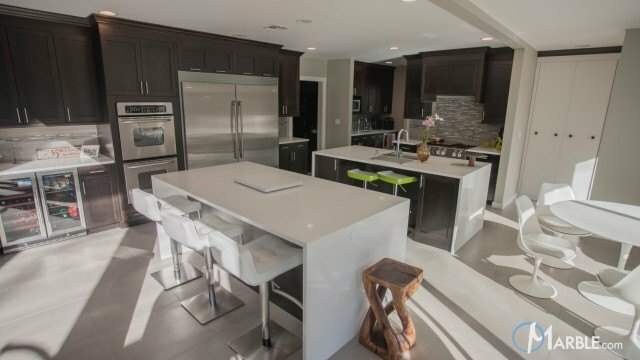 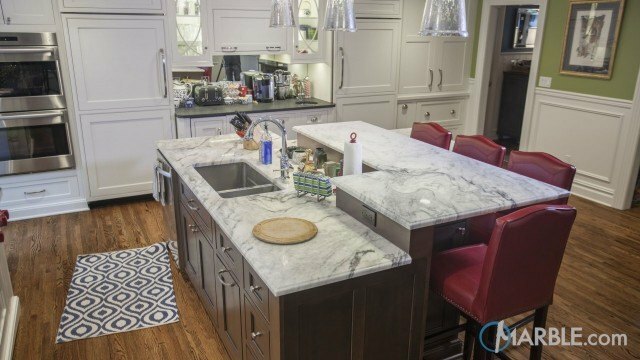 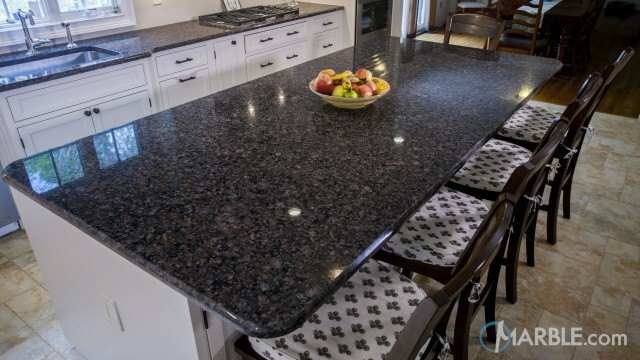 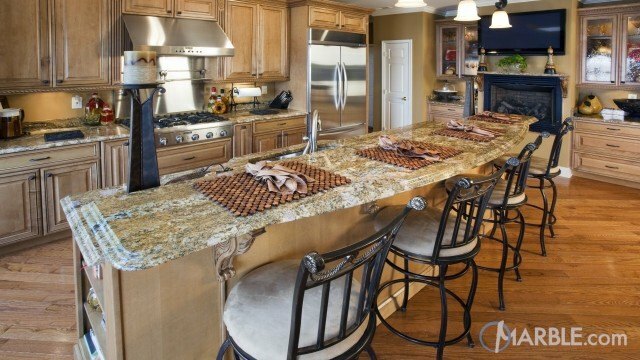 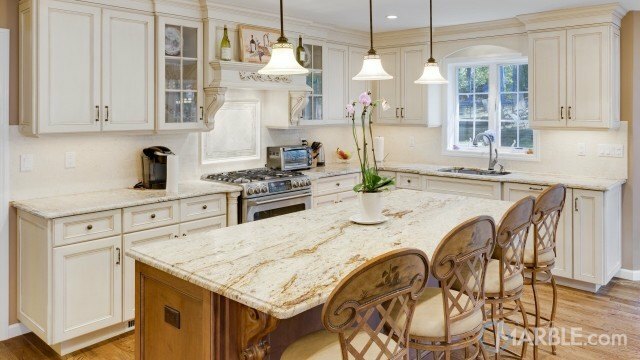 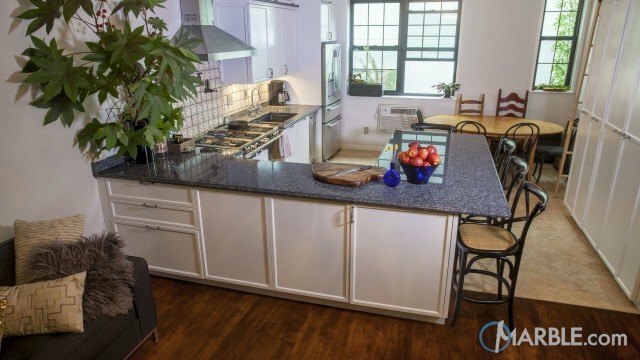 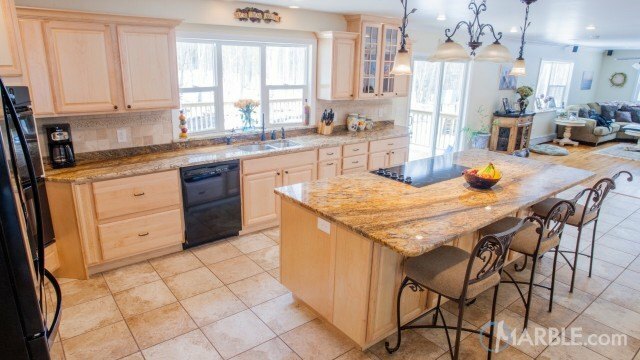 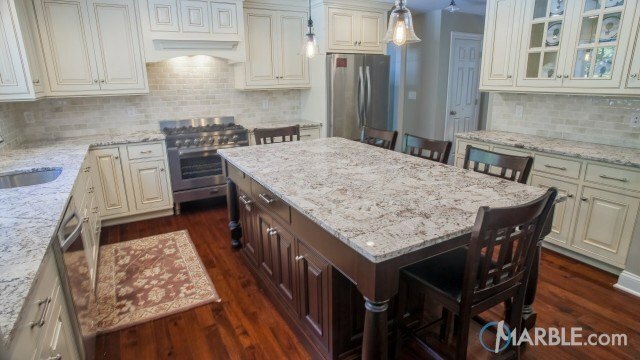 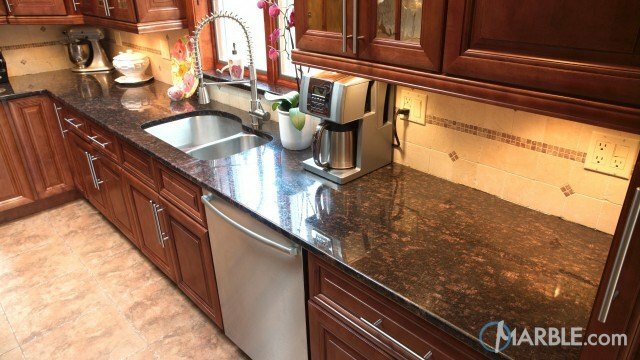 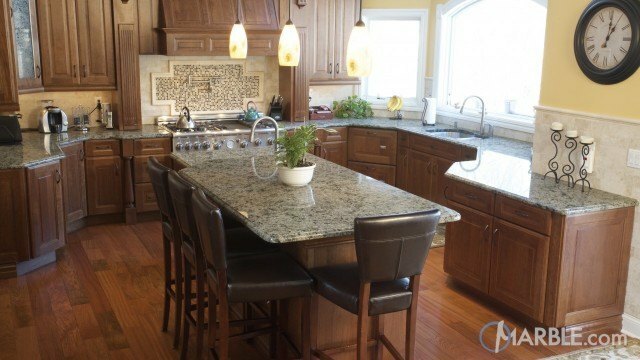 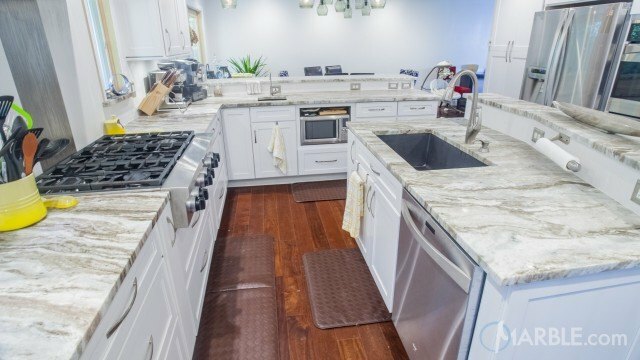 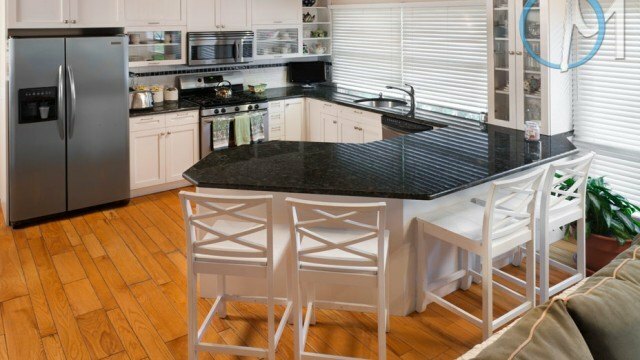 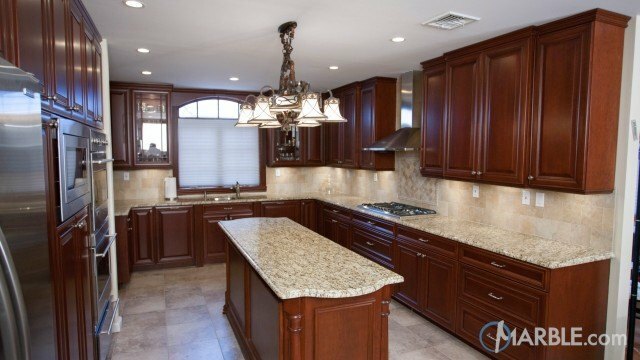 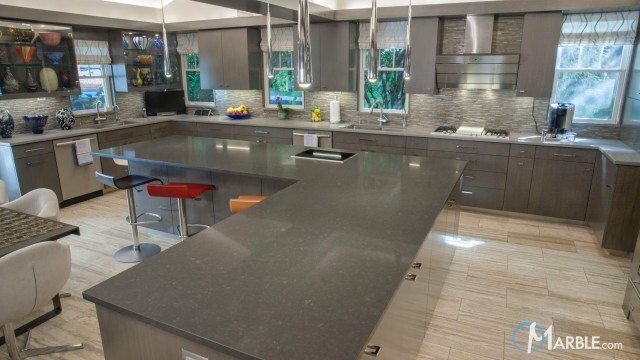 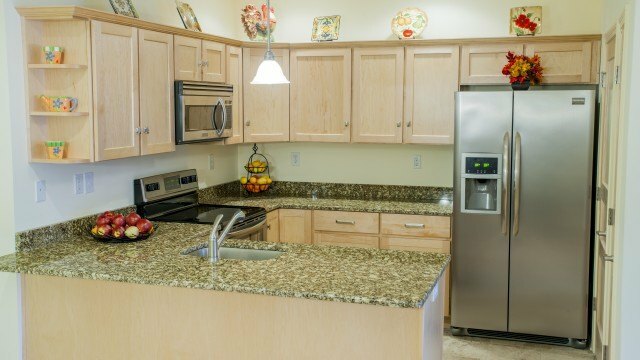 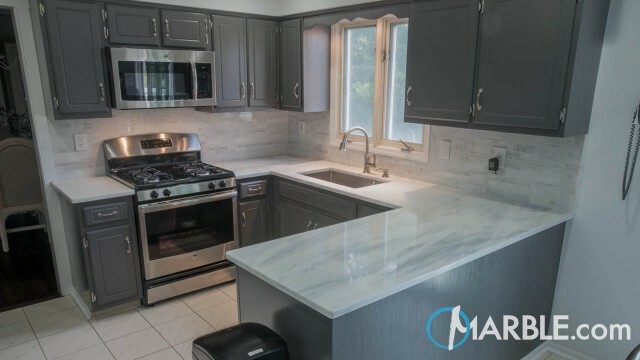 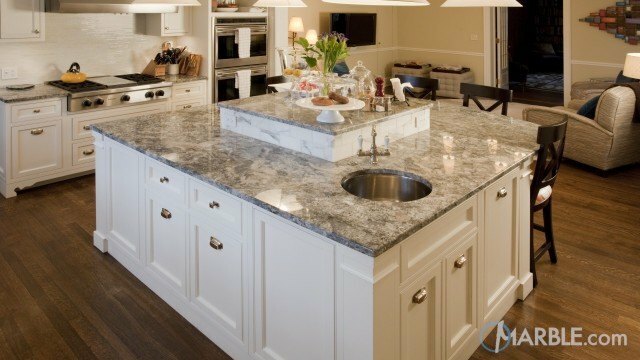 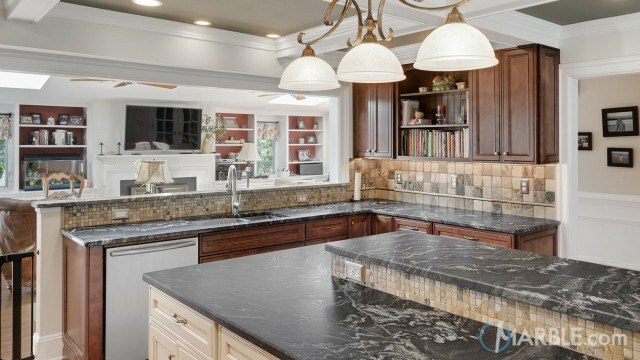 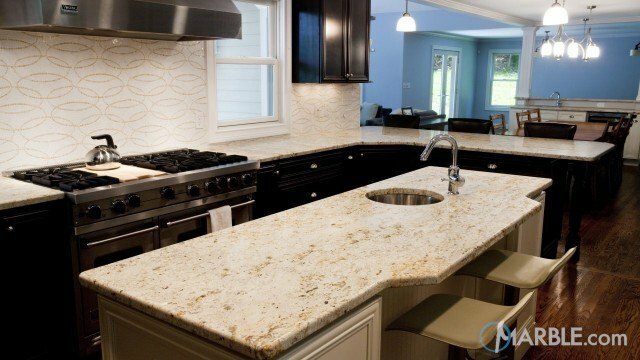 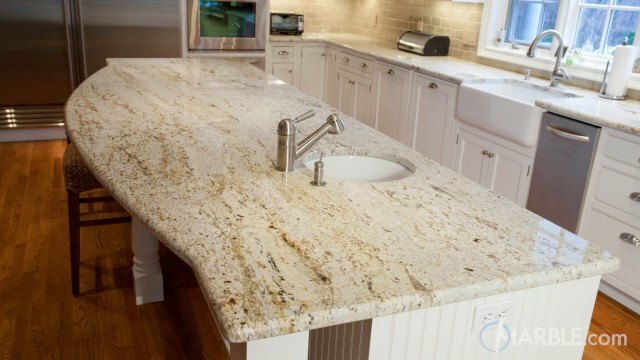 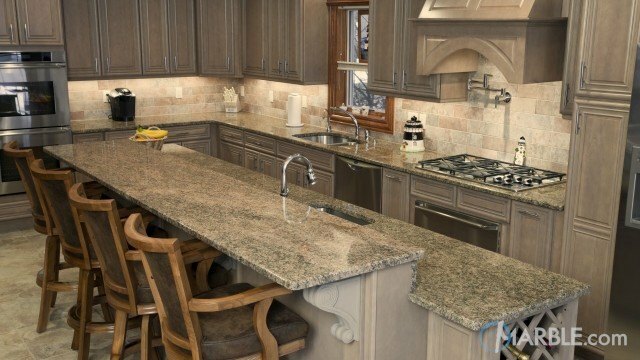 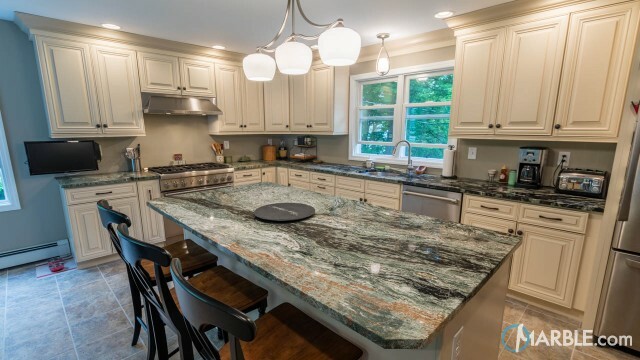 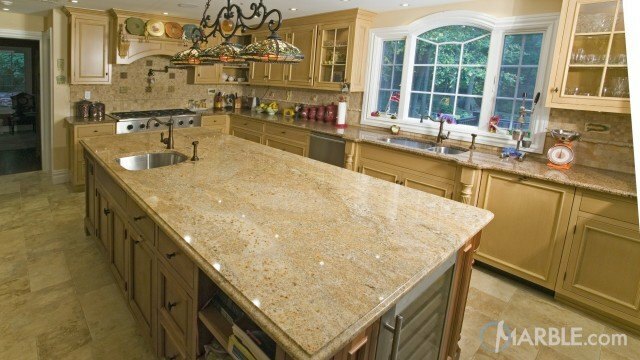 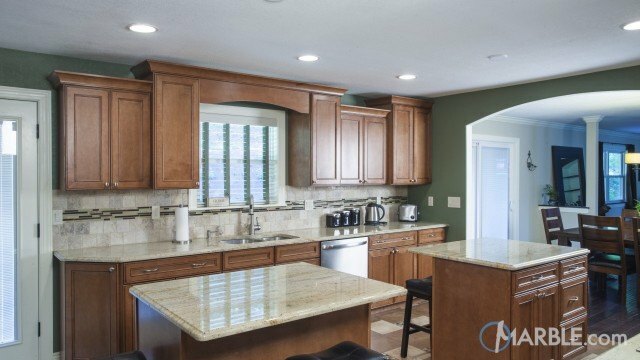 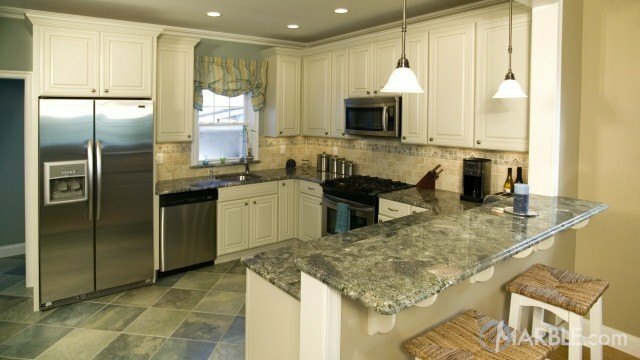 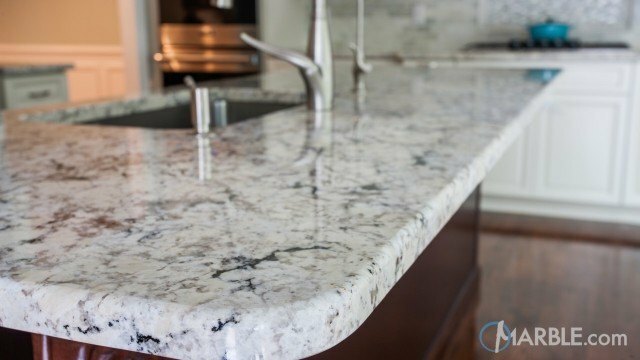 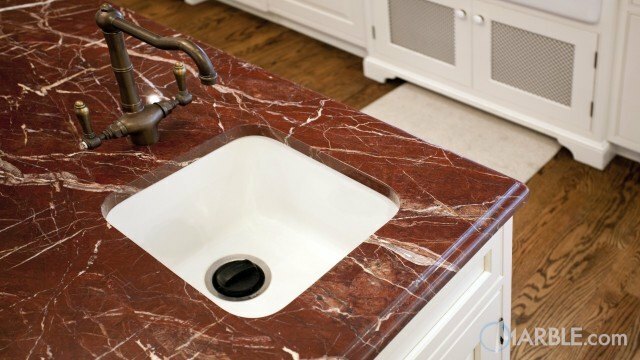 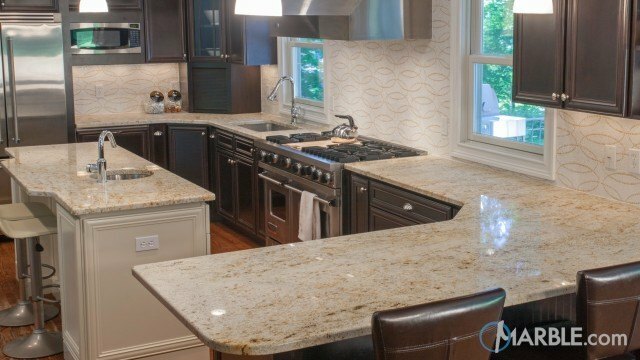 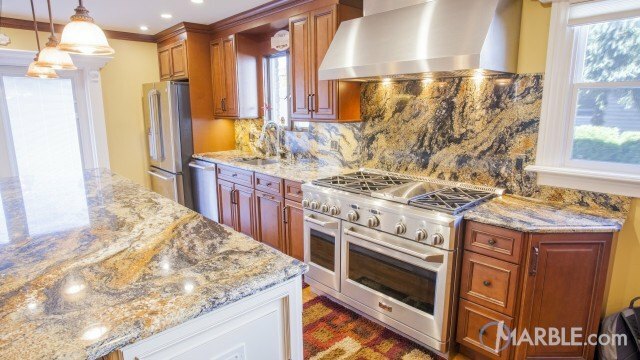 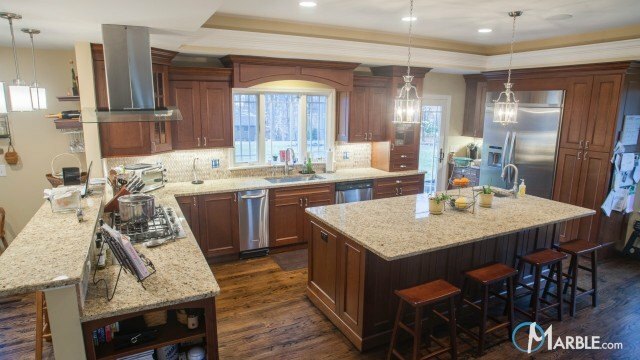 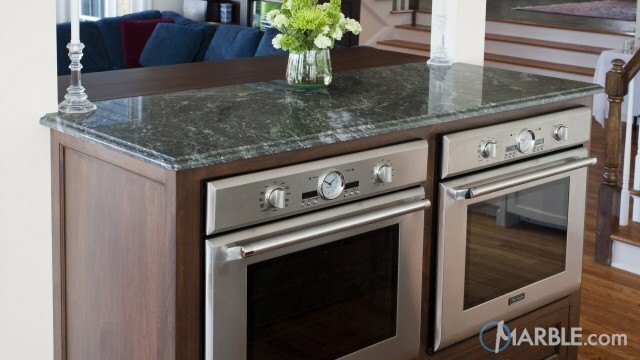 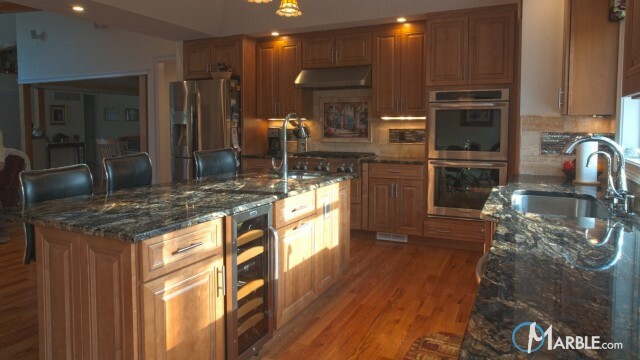 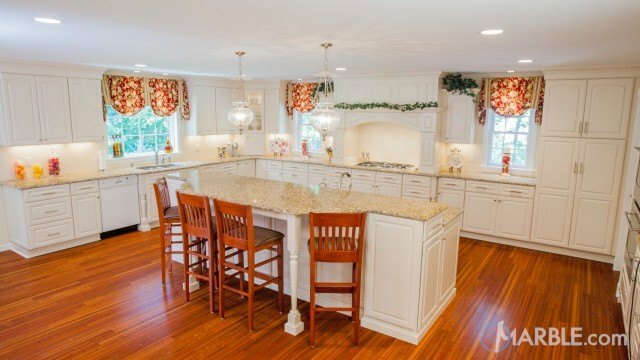 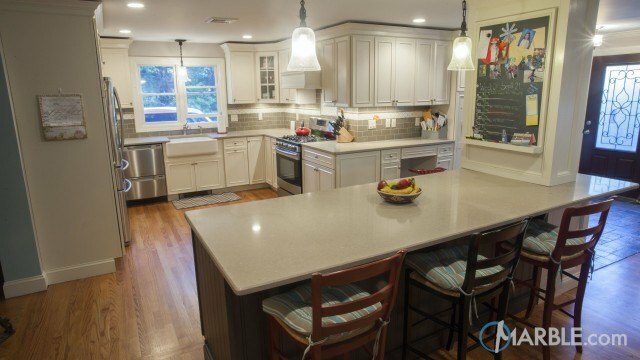 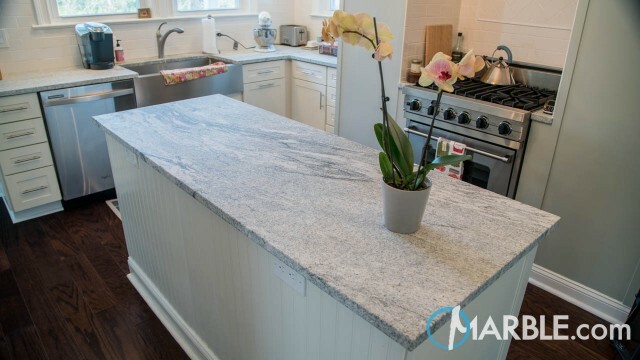 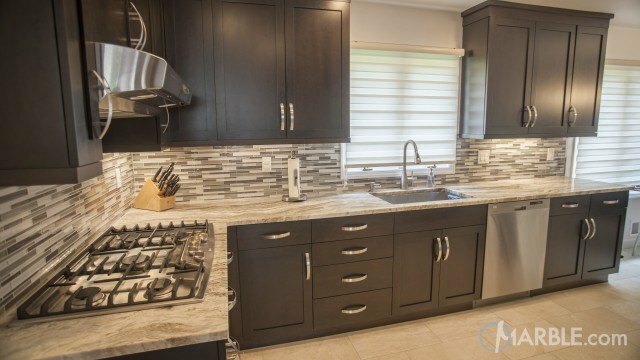 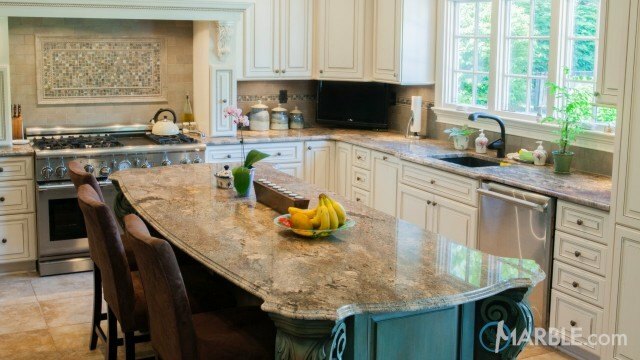 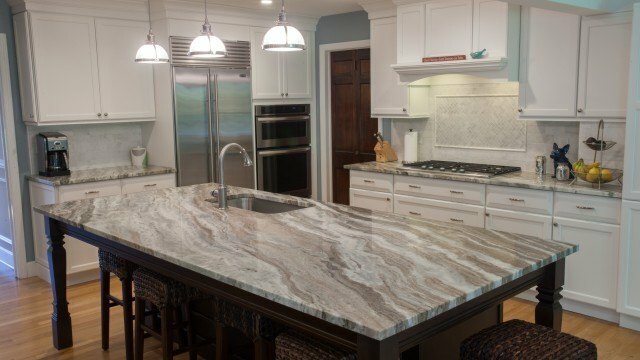 The Giallo Macauba Quartzite counter top with a Cove Dupont Edge & Copper Dune granite counter top is full with gold accents along with green, red and rich tones of brown. 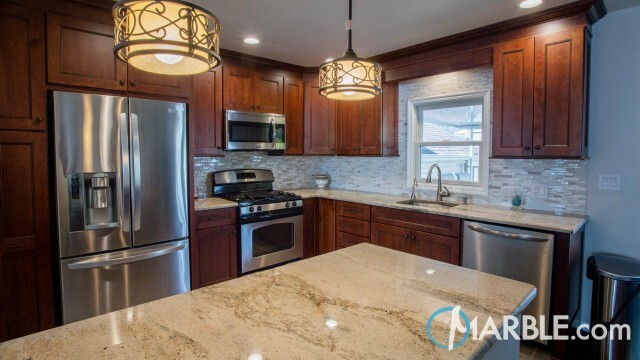 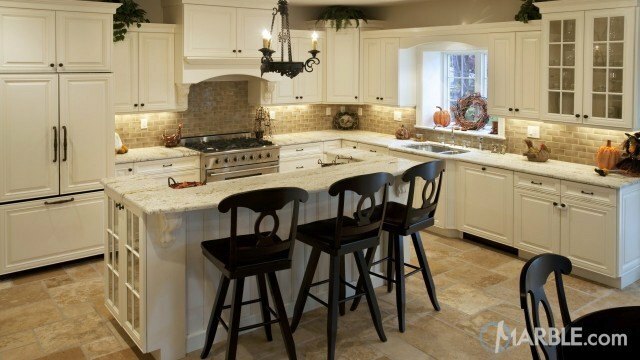 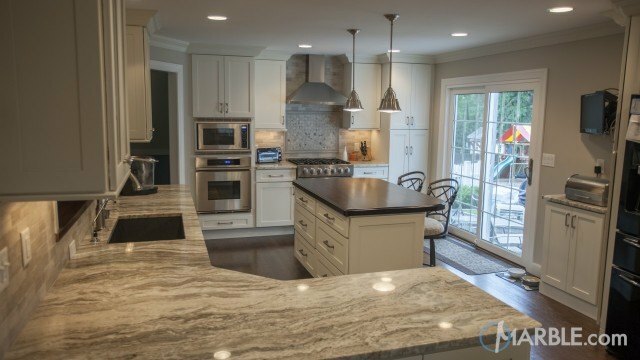 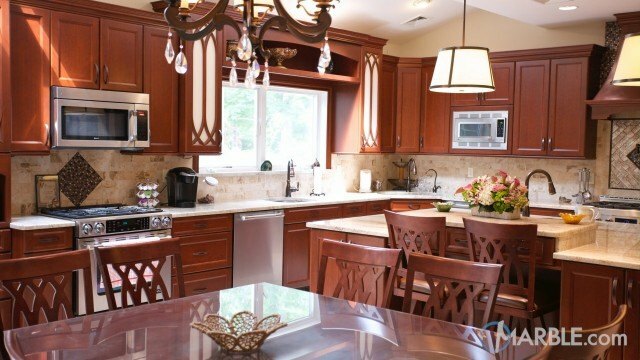 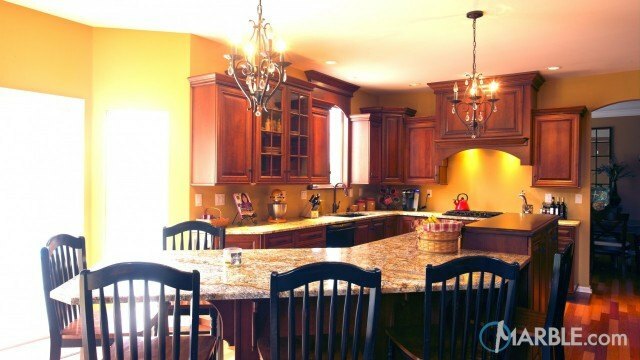 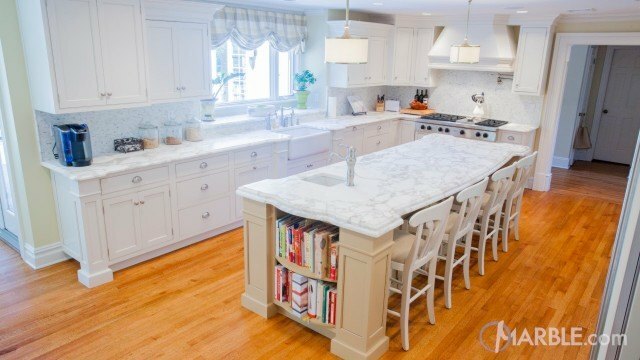 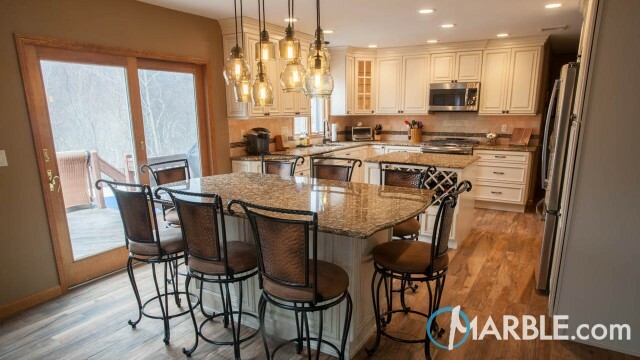 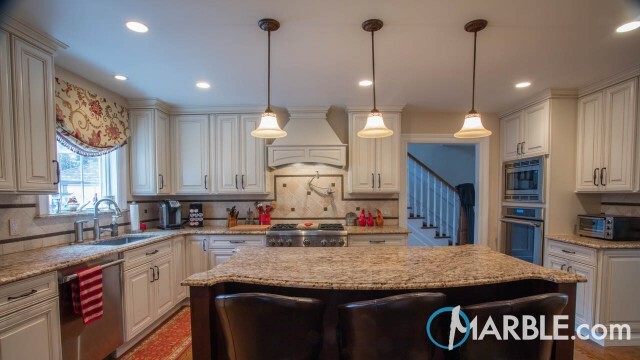 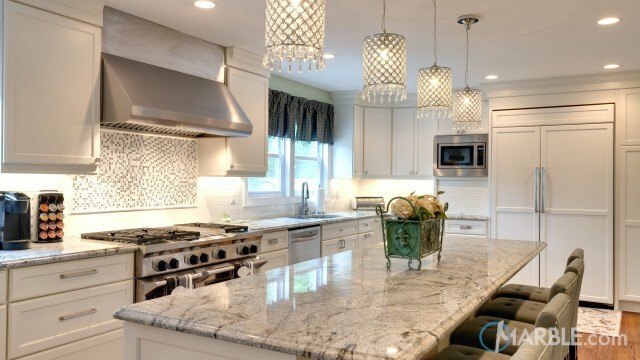 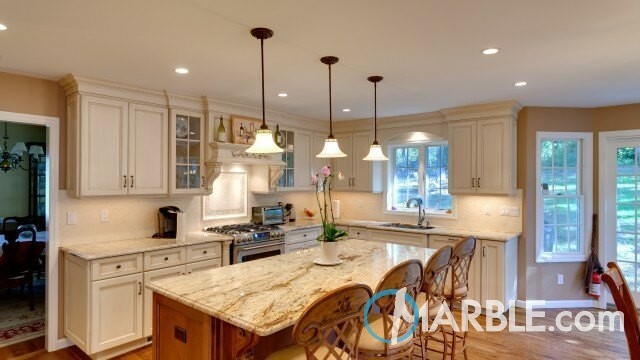 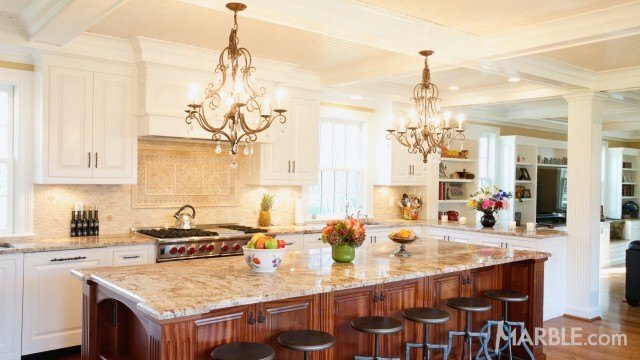 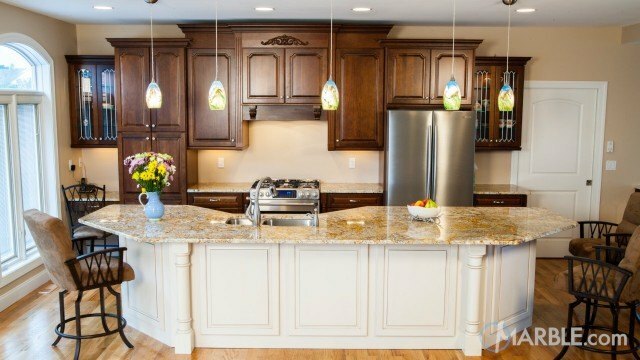 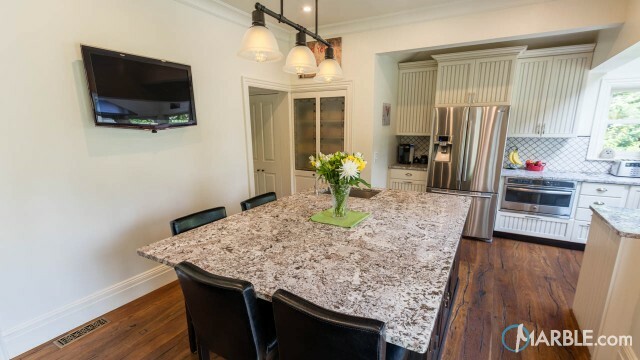 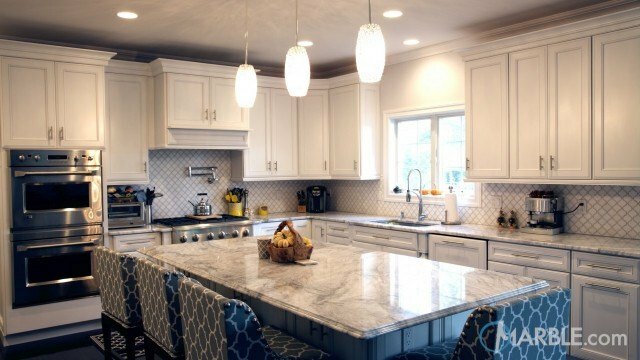 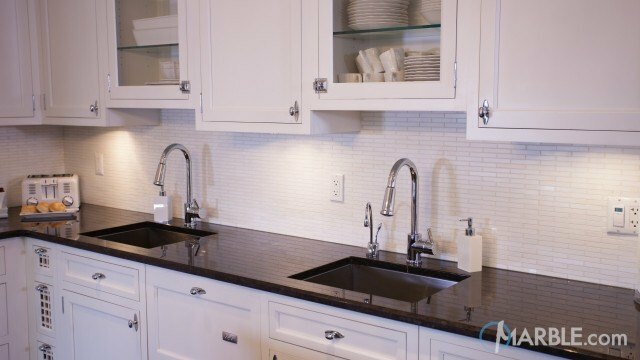 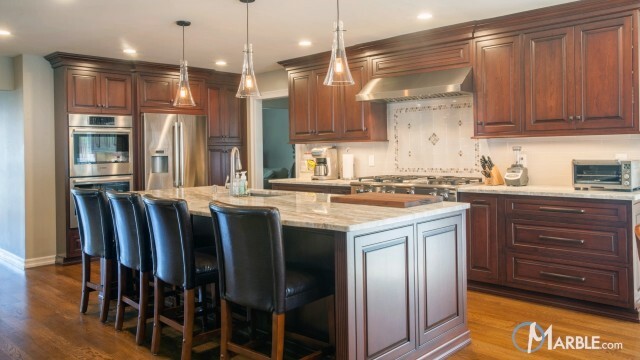 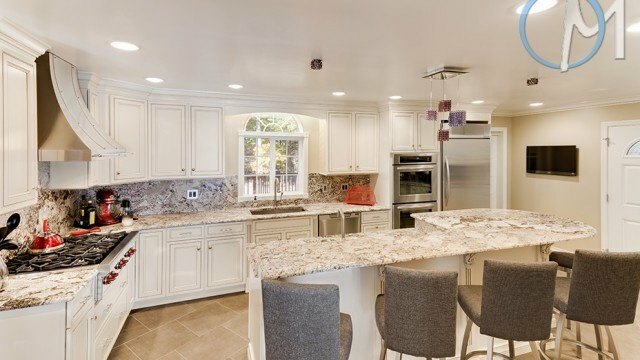 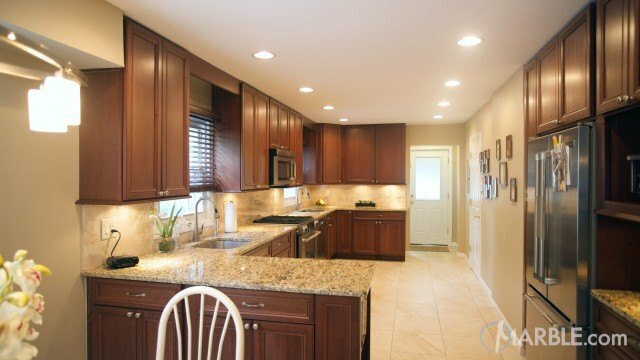 Recessed lighting emphasizes the gorgeous stone in this kitchen.